Our Adriatic adventure explores Europe's "new frontier" — and it offers rich rewards. You'll meander from pristine hill towns to sun-soaked islands, lacing together the best destinations in this diverse corner of Europe: Slovenia's Ljubljana and fairy-tale Lake Bled; Croatia's seaside Rovinj, waterfall-laced Plitvice, historic Split, the island of Korčula, and picture-perfect Dubrovnik; and an enlightening visit to Bosnia-Herzegovina's once-war-torn town of Mostar. Along the way, your Rick Steves guide will bring you intimate encounters with European cultures that mainstream travelers often miss. Join us for the Best of the Adriatic in 14 Days! Strenuous = 2–8 miles of walking throughout the day with lots of hills, stairs, and uneven terrain. We'll meet at our hotel in the pretty Slovenian capital city of Ljubljana at 4 p.m. After an orientation walk through our neighborhood, we'll enjoy getting acquainted over dinner together. Sleep in Ljubljana (2 nights). No bus. Walking: light. Today we'll take a walking tour through the heart of Ljubljana, including the colorful riverside market, the playfully Art Nouveau Dragon Bridge, and the town's lively main square dedicated to Slovenia's greatest poet, France Prešeren. We'll also enjoy seeing and hearing about the architectural adventures of native born architect Jože Plečnik along the way. The afternoon and evening are yours to wander around this lovely city or try one of the outdoor cafés along the river. No bus. Walking: light. A short drive into Slovenia's Julian Alps brings us to the azure jewel of Lake Bled. We'll take in the panoramic view from Bled's hilltop castle, then leave you with free time to stroll around the lakeside town, or maybe hop aboard a boat to the chapel-topped island. After lunch we'll have a scenically winding, mountain-pass drive to the breathtaking Soča River Valley, where we'll enjoy dinner of local delicacies together. Sleep in or near Bovec (1 night). Bus: 6 hours. Walking: light. This morning we'll tour the local museum, learning about the WWI years when soldiers (including an ambulance driver named Hemingway) faced incredible hardship in the mountains around Kobarid, described in A Farewell to Arms. We'll enjoy a local-style lunch together, sampling the tasty pršut (prosciutto) and award-winning wines. We'll then follow Slovenia's small slice of Adriatic Coast on our way to the rolling hills of Croatia's Istrian Peninsula. Sleep in or near Motovun (2 nights). Bus: 4 hours. Walking: moderate. We'll spend our day exploring the Istrian Peninsula, studded with Roman ruins, Venetian architecture, and a landscape evocative of pre-tourist Tuscany. We'll time-travel through Pula's first-century Roman amphitheater and Old Town with a local expert, then set you free to enjoy the seaside town of Rovinj. Hang out by the harbor, or walk the art-lined streets to the Church of St. Euphemia and learn the surprising legend of how the saint's sarcophagus got there. Tonight's dinner featuring local specialties will be in the tucked-away town of Brtonigla. We'll return to our hilltown hotel tonight, stuffed and happy. Bus: 4 hours. Walking: strenuous. Today we'll stop in seaside Opatija, where you'll have time to wander amidst its beautifully manicured parks and belle époque villas along the Kvarner Gulf, before heading inland to the deep greens and blues of Croatia's water wonderland and one of Europe's premier nature preserves: Plitvice Lakes National Park. We'll have dinner together and sleep in or near the National Park, surrounded by the quiet of nature (1 night). Bus: 5 hours. Walking: light. You'll have all morning to hike along rustic boardwalk trails connecting the idyllic forests, travertine stone cliffs, clear blue lakes, and gushing waterfalls of Plitvice Lakes National Park. We'll learn how the park is creatively managing to protect its delicate environment, including the use of electric trams and boats. After a lunch break, we'll drive along the Dinaric Alps to the Dalmatian Coast and the not-so-sleepy seaside town of Split. This evening we'll take an orientation walk through town and enjoy dinner together. Sleep in Split (2 nights). Boat: ½ hour. Bus: 5 hours. Walking: strenuous. We'll get introduced to Split with a walking tour through its Old Town — including remains of the Roman Peristyle, the unusual Cathedral of St. Domnius, and Jupiter's Temple — all of which lies within the walls of the despotic Roman Emperor Diocletian's immense palace. The afternoon and evening are yours to enjoy Split's museums, including the sculptures of the world-class Meštrović Gallery, or relax with an espresso along the waterfront promenade. No bus. Walking: moderate. Today we'll cross the border into formerly war-torn Bosnia-Herzegovina. Our destination is Mostar, a beautifully-situated town that serves up a fascinating blend of Slavic, Ottoman, and Mediterranean cultural traditions. En route we'll stop in nearby Stolac to see the medieval stećci tombstones that dot the fields, and learn about the town's tumultuous past. After lunch, we'll discover the source of the Buna River in the village of Blagaj before arriving in Mostar. This evening your guide will introduce you to Mostar with an orientation walk and traditional Bosnian dinner together. Sleep in Mostar (1 night). Bus: 4 hours. Walking: moderate. This morning our local guide will take us on a thought-provoking walk through Mostar, teaching us about the siege of the city in the 1990s. We'll also visit Mostar's rebuilt Old Bridge, the lively Kujundžiluk bazaar, and a traditional mosque. Leaving Mostar behind us, we'll make our way to a Serbian Orthodox Monastery where we'll learn about the role Christianity plays in the region. This afternoon we'll head to the Dalmatian Coast and ferry over to our island getaway of Korčula. After arrival, your guide will orient you, then set you free to enjoy dinner on your own. We'll sleep in Korčula (2 nights). Boat: ½ hour. Bus: 4 hours. Walking: moderate. Today you are free to wander the cobbled lanes of Korčula's medieval quarter, poke around its Cathedral of St. Mark, and imagine the tales its Venetian villas could tell. This could also be a fun day to rent a kayak or go for a swim. We'll dry off and regroup for a little happy hour boat cruise in the evening. Boat: 1 hour. No bus. Walking: light to strenuous (your choice). We'll begin our day with a short ferry ride back to the mainland and then continue our journey along the Pelješac Peninsula, famous for its Plavac Mali wine. On our way to Dubrovnik we'll stop to sample the coastline's tastiest production at a local family farm. After lunch, we'll continue to Dubrovnik, arriving at our hotel in time for your guide to orient you to this Pearl of the Adriatic. Tonight is all yours to savor the local cuisine and do a little exploring on your own. We'll sleep outside Dubrovnik's old city wall in the Lapad district, right by the sea (2 nights). Boat: ½ hour. Bus: 3 hours. Walking: light. We'll begin our day with a walking tour of the architectural treasures within the 800-year-old city walls of Dubrovnik, long ago its own republic and a rival of the powerful Venetians. We'll learn about the city's rich history as we tour its traffic-free promenade and old harbor. Then you'll be free to roam this stone city and its walkable walls that seem to have sprouted up out of the sea. Tonight we'll have a feast of local specialties together as we share travel memories and toast new friends. Živjeli! No bus. Walking: moderate. Breakfast is provided, but there are no group activities today. Dubrovnik's airport is just 40 minutes away. From there, you can fly to Zagreb and other European cities. Whatever your plans, your guide will help you get on the right track. Do viđenija! Be on your feet, walking and standing, for up to three hours, indoors and outdoors, in all weather conditions. Travel on a bus without a toilet (rest stops every two hours). This was a terrific trip! It was a great itinerary that enabld us to learn about the history and culture of the region as we explored many wonderful and interesting sites. We had sufficient time to ourselves so that we could explore and really enjoyed all the tours that were planned for us. Saso was a fantastic guide, as were the guides in each location. The group size was good and we had an opportunity to bond nicely. "It's hard to pick just one! The hike through the Plitvice Lakes National Park was a sight to behold!! I've neve been to a place of wonder like that, with water rushing and cascading all around you. I took some incredible pictures there and love seeing them over and over again." This was my first Rick Steves tour, and I was a bit apprehensive since I didn't know of anyone who had taken one of these tours before. Saso put most of my fears to rest at the orientation meeting (chocolate is a great calming agent! ), and it just got better as the tour progressed. My fellow travelers were warm, caring, intelligent, and above all followed the Rick Steves' rule of no complaining! The Adriatic is gorgeous and the people are delightful. "I would love to say that my "wow" moment were the beautiful countries, the wonderful people I met, the food or the wine, but I'm afraid it was Dubrovnik. When I entered the walled city that first evening I just stood there stunned, with the feeling that it wasn't real. The beautiful limestone buildings, which are in perfect condition, have developed a creamy patina over the years and are majestic and elegant. It felt like a movie set, or a Disneyland, just magical." Great itinerary and outstanding tour guide. Our group members had a lot of fun. What's not to love. "There were too many to pinpoint just one. The scenery was spectacular everywhere. I did love the surprise of stopping at the ski jump practice venue." "Incredible views in so many places." It was an absolutely beautiful part of the world that we had never visited before and which we knew very little about. And so that made it a genuine adventure of discovery at every turn. Saso was an extraordinary guide, mixing in tons of local knowledge with good humor and a genuine care for each member of the group. Due to health issues that arose, my wife and I had to depart the trip early and Saso was a huge help in making sure all the necessary arrangements were made. "Hiking through the Plitvice Lakes National Park." We had extraordinary weather the entire two weeks, so that helped a lot. This was my first Rick Steves' tour and it exceeded my expectations. I enjoyed the pace of the trip, a good mix of local guides and history with ample time on our own to explore. I also enjoyed the variety of landscape, towns, history, and culture. Comprehensive tour without being "over the top." "There were two: The spectacular scenery of the Julian Alps and Lake Bled. Also the one-day visit to Mostar in Bosnia. This was a delightful contrast." Saso, the local tour guides, the itinerary, and the bus driver were excellent, five star. The only reason, I'm not rating outstanding is the schedule. We prefer a more leisurely pace, spending a minimum of 3 days in a location. This is not a complaint, just a personal preference. We knew what we were signing up for, and so it's probably unfair not to give you and outstanding. I believe rest of the group was happy with the pace. "It's a bit unfair asking me to pick "one" wow moment as my favorite. So I'll cheat and give you several. The tours in Bosnia, hearing the personal stories of the guides, and seeing the war damaged sites, make an impact which will stay with me forever. The upper part of Plitvice Lakes was another highlight. Soso's strategy of getting up early and starting at the top worked well. We are able to enjoy the falls without the crush of crowds." Booked the tour after seeing the presentation at the annual Edmonds confab. Wasn't on our lists, but so glad we went. Tour guide Saso Golub is amazing & knows more about American pop culture than I do. The weather was great and the scenery amazing. Great contrasts from a windy two-land road through the incredible Julian Alps to Roman ruins and coastal resorts to the sad towns of Bosnia that never recovered from he war 25 years ago. Highly recommend. "People ask us that and it's tough; there were so many. So three: The beautiful town of Ljubljana The incredible Julian Alps The old town of Dubrovnik including walking the wall"
"We were driving through the Julian Alps in Italy (near Tarvisio) for a few kilometres. When we reached Predel Pass (elev. 3,793 feet) and crossed back into Slovenia, the bus pulled over. Everyone got out for a photo-op. Saso brought out a bottle of local brandy, and we all raised a glass to the safe crossing and spectacular scenery,"
The tour was a wonderful mix of beautiful scenery, great people, impressive guides, good food, and lots of learning about former Yugoslavian countries and their cultures. It was a lot of ground to cover in 14 days but the flexibility of the tour options and tour guide allowed you to pace yourself or push yourself. "My favorite WOW moment was probably a surprise stop at an international ski jumping training facility in Slovenia. We actually got to see skiers jumping close up and it was phenomenal." The itinerary was great, with a mix of beautiful scenery and historically significant sites. We had enough time to explore things of personal interest and also were guided to spots we would never have seen on our own. "A picture-perfect fall day, sitting at a cafe with a view of a mountain lake, eating a locally renowned pastry and drinking an espresso." Excellent tour. Each stop was solid piece of tour. "Mostar piece of tour. Seeing war-torn areas." I was blown away by the passion and love that our guide, Saso, was able to express in his everyday interactions with us. The countries were stunning but the most important thing I appreciated as his input, and that of ALL the local guides and the opportunities that were given to us that were "over and above" the norm for a tour. Although I was not able to complete the tour (due to medical problem), every minute I had was extra special. The food was wonderful, the sights and history beautiful. "No doubt... Being a hiker, I absolutely adored Plitvice Lakes National Park. It was stunning. I've hiked for hours to reach a single puny waterfall and within a day, I was able to see the most wonderful lakes and waterfalls nature has to offer. It was perfect." The tour was very well organized so that we seemlessly travelled to and from each location without a hiccup. The bus disappeared and miraculously appeared on time every time. The bus driver did a great job and always kept the bus clean! Our tour leader Saso, was fabulous. We always knew exactly what the day's events would be as well as a preview of the following day. Saso always had a smile for all and a wonderful sense of humor! He had incredible knowledge of every place. "Hiking the upper trail of Plitvice Lakes. It happened that almost no one was there but a group of photograhers. It was chilly and overcast as we started hiking a little earlier in the morning. We had the upper part all to ourselves and you could really hear the water running and gurgling over rocks as well as the birds. The hike felt very peaceful & spiritual!" This was our second tour and we have confidently recommended RS tours to friends and relatives. We have taken tours with 2 other companies (Collette and Caravan) and the difference is remarkable. The overall philosophy of travel vs vacation sets the tone for learning about and experiencing other cultures. There was not a wasted minute and everything works like clockwork. The guides (Reid for our first trip and Saso for this trip) made the trip what it was--incredible. "Bosnia. Because I have had the opportunity of integrating Bosnian students who were refugees into the school I was principal at, this was such a meaningful opportunity for me. The 2 guides were so authentic and honest. While sadness and frustration remain in Bosnia, I also heard of their love for their country and hopefulness." EXCELLENT TOUR. LEARNED SO MUCH FROM AMIR, OUR WONDERFUL TOUR GUIDE. SAW MANY WONDERFUL AND HISTORICAL PLACES. "TAKING A SIDE TRIP TO MEDUGORJE. I UNDERSTAND WHY THE TOUR DIDN'T GO THERE, BUT FELT A NEED TO DO IT ON MY OWN. ALSO ENJOYED THE WONDERFUL MOTOVUN AND DINNER ASSOCIATED WITH IT AS WELL AS OUR TRIP TO THE VINEYARD AND VINERY." I was extremely fascinated by all that this tour had to offer. I found the countryside to be extremely beautiful including the high top of Motovun, peacefulness at Lake Bled, island time at Korcula, scenic Istrian penisula, cruising through the Dalmations, and exposure to the contrasts within Bosnia. I appreciated the ethnic diversity and the explanations for the war during the 90s, professionally done by Amir and our City Guides. "The amazing contrasts while we toured the countryside. I have two in particular: the absolute beauty of the Adriatic with its craggy cliffs over looking stellar blue waters with lots of fortresses, walls, and fortifications to protect this important trade routes contrasted with the moving story of the 90s war with how it tore neighbors apart while seeing and walking over the symbolic Mostar Bridge." Amir was a very good tour guide and our group was a good mix of people from different parts of North America. The hotels and city guides were authentic and told their stories and the histories of the Balkans very well. We got a well rounded picture of the Bosnian War and learned about the gray areas of what happened. "We were in Split in the rain and in the cellars of Diocletian's palace. Then we went upstairs and went to the church bell tower and saw the 4 story buildings built on top of the cellars! It is amazing that the Romans built the palace thousands of years ago and it is still functional." What a great 14 days. Itinerary couldn't have been better. Tour group was terrific. And our guide, Amir, and other guides were outstanding. Would go again tomorrow. "There were many moments but my "wow" moment was Hotel Plitvice and our meal that evening. The hotel was so 'cold war' and the meal was industrial at best. The wait staff looked like they stepped right out of Tito's army. It was like being in a time machine. I loved it!!!" I enjoy learning about the history of the places we visited. It was sad to see the bombed out buildings. I really appreciate our hard working guide Amir. He was very protective of the group and looked out for everyone especially the weaker group members. His patience and tolerance was admirable in babysitting senior citizens. It was a great trip with beautiful weather. I love the adriatic coast and the wonderful seafood it offers. "it was definitely Lake Plivitce beautiful waterfalls. the tranquil waters and clarity." I didn't know much about Slovenia, Croatia, and Bosnia/Herzegovina before the tour except that Game of Thrones did a lot of filming in Dubrovnik. I came away with a much better understanding of the region and an appreciation of the complexity of its history and current issues. I was surprised by the natural beauty of the area. The clarity of the water at Lake Bled and in Plitvice Lakes National Park as well as in the Adriatic itself astounded me. Very friendly people also. "Plitvice Lakes National Park - I have to return." I travel frequently but this was my first tour. Although the close proximity to others wasn't easy for me, I appreciated the space on the bus and having my own room (single supplement) to regroup! That said, the wealth of information from our guides, the specially prepared meals, and the no-hassle travel details made for excellent value for the money! I would recommend your tours to others. "The following is not a 'wow' in the sense of fabulous, but in the sense of being richer, fuller, & more compassionate: Bosnia. Amir's story as we entered the country. The story of our city guides in Mostar & Solac. What they saw, how they suffered, & why they remained/returned. These young(er) people are passionate, have hope for a better future, are willing to actively participate to make that a reality, & - this one kills me - who refuse to take on the burden of hate. I was undone. Thank you." Well thought out itinerary with more reasonable morning start times than other RS tours like Best of Germany. "Seeing the devastation that lingers from the war in Bosnia and hearing Amir's personal accounts." I loved the tour. It was a great mix of history, culture, nature, people and food. Our guide was outstanding. The tour group melded nicely and had a lot of fun. Our time was well-spent and balanced between group time and time on our own. Some time ago we considered taking an ocean cruise to experience the Adriatic Coast. What a mistake that would have been! We would have missed so much. We are very happy that we chose this tour instead. "Our time in Mostar and especially Stolac was the most eye-opening experience and will probably stay with me the longest. It was both educational and emotional." Enjoyed being in new places and experiencing a bit of culture outside the USA. Our Tour Guide and other guides were very informative, enhancing the experience greatly. Also liked the size of the traveling group and the friendships we made among the travelers. "This is difficult to answer as I enjoyed all of the trip so much. Probably the most outstanding places were Plitvice Lakes National Park and Lake Bled. Getting out into nature is as important to me as hitting the cultural spots. Speaking of cultural high points - the Mestroic Gallery in Split was a highlight for me." -Great Tour Guide: fun, interesting, personal, thoughtful. -Enough free time to explore on our own, use public transportation, eat, sit, relax, and be alone and on our own in a new place. -Actually got some exercise. Not all walks were just strolls. Also, the pace was often our individual choice. -Guest local guides were interesting and varied. -Buddy system worked well (except for one time), so not a lot of time spent counting heads. -Accommodations and Breakfasts were wonderful. "Hard to choose: The island of Korcula. Very small and intimate; didn't need bus ride to explore; a lot of time on our own for entertainment (Sword Dance), eating, walking, small lovely old stone city. Also, a 2 night stay is a big plus." We have independently traveled a lot in Europe and was pleasantly surprised on how well the tour was run under the excellent direction of our guide, Sanel Maric. We appreciated the balance between tour time and free time. We also appreciated that the tour stayed 2 days, then 1 day so we were not on the go all the time. We had a great group and made new friends. "Choosing one "wow" moment is difficult for us. Here are several which we selected:Ljubljana -a wonderful city to start the tour; Walk around Lake Bled & Plitvice Lakes National Park walk;WW I War Museum in Kobarid- was a very pleasant surprise because of it's depth of research, it's content, layout and extremely knowledgeable presentation by it's owner;Walking the walls of Dubrovnik;Driving thru the beautiful mountains;Pula's Roman ruins; visiting Mostar, Sanel's hometown"
The tour was very good. Our guide was wonderful and all the tour members got along well. The bus driver was excellent and he had some challenging driving to deal with. Our local tour guides were also excellent and very interesting. This adds so much to a tour. "The hill town of Motovun and our castle stay was pretty great!" This tour was just amazing. I knew little or nothing about Slovenian, Croatian or Bosnian culture or about the sights to be seen in those countries. We were shown the best of both culture (including food and wine, both delicious) and geography, plenty of which was absolutely gorgeous. Our tour guide was equally impressive. Great area + great guide = outstanding tour. "Our tour of Mostar was led by a woman who had been a child during the second siege of Mostar. She told us that during the winter she and her friends were delighted when it snowed...because then they could play outside and the snipers couldn't see them to shoot them. That was a deeply affecting story, made more so by the fact that neither she nor Sanel, our tour guide, emerged from those terrible times hating Serbs or Croats. Wow!" "Tour guide was best possible choice." Great group of people and Sanel really made the experience. I had read Rick's book and did the sites and walking tours in my mind. For the most part I was pleasantly rewarded. Suzie and I were one of the older members of the group. We kept up and didn't slow things down but felt our age at times. I was surprised about the crowds and the number of tourists that are traveling now. "Being introduced to the diocletian palace at night with Sanel, the feeling of age in the dark and with very few people except the tour group. Quite a change the next day with the crowds! Mostar and the old bridge -- and seeing evidence of a war torn country. Sanel brought some of that history to light." I thought this would be my last trip to Europe, but after this tour I've changed my mind! From our first meeting with Sanel and the group to our last goodbyes, everything appeared seamless. I'm sure this had to be all the preparation put in place by Rick Steve's tours, but Sanel carried it off without a hitch. He was always one step ahead smoothing the way for us. "Sanel's life story and how he wove it into the narrative of our trip. He made the history of the region come alive. I'll never forget." The trip was enriching, depressing, inspiring-- it will take me a long time to process it all. I wouldn't say I learned anything new but so many things I had studied and taught in the abstract were made vividly incarnate in real people and real places. I was sadly reminded of the brutality visited upon the Bosnian Muslims during the 90s war, disturbed by the rise of Fascism in the region, but inspired by those who suffered so much and who are working to make a better world. "There were so many! The museum in Kobarid, e.g. I had studied the battles of the Izonso and Caporetto but hearing about them from a Slovenian was eye-opening. Reading the letters of those who were fighting and dying in a war they didn't understand left me crying. Another "wow" was the rugged and dramatic beauty of the Dinaric Alps, so different from the beauty of the Pacific Northwest." Nice group. Sosa great guide. This tour was fascinating at every turn and vista! I had never been in the Adriatic at all, and had to absorb a lot, mentally and visually. Overall I highly recommend this tour to anyone who wants to travel beyond the usual places in Europe that most people go. You will be wowed by the things you see, and the stories you hear! "My favorite wow moment was the Julian Alps and the Adriatic Sea. I could not get enough of the landscape out the bus window! I did not shut my eyes for one wink of sleep on the bus, because I knew I might not be back again and did not want to miss seeing anything!" This tour was incredible. It far exceeded my expectations and they were high to begin with. Besides the incredible countries Saso, experiences and the other people made the trip. The trip was flawless with expert planning into every detail. The local guides made each area really come alive with people who actually live in the area and are part of the culture. It was the perfect combination of get up and go and down time with attention being paid to individual needs-current or anticipated. "I was entirely alone on the walkway behind the castle in Motovun early in the morning an a bright sunny day. I literally just kept saying, "wow wow wow". I decided I was over dosing on beauty and ran back to the hotel to grab others to share with me the incredible experience. The view of the villages and countryside were spectacular and I only wished we could have explored the un-touristy area below. Then down the hill was an open air produce store with more views and I was delirious!!" A good overall introduction to the countries visited. We seemed to be in the bus for too many hours on this tour. In at least one instance, the hotel location choice seemed rather inefficient; e.g. using the town of Motovun (2 night) for staging our daily forays resulting in too much back and forth. Though it did seem to support the choice of a dinner venue. Late arrivals. Too much time sitting on the bus instead of experiencing featured sights. "Probably Plitivice Nt'l Park. Of course Dubrovnik was magical too." Tour was everything I anticipated. variety of food, experiences, Croatia was a terrific place to visit. I loved the varied Cultural influences. "I felt the Bosnia portion was an unexpected richness to the Tour e3xperience. The two Guides, Adisa I Muhic and Edin Buizdaljko, were outstanding. their heartfelt experiences and leading us through their towns/experiences was very moving. The tour Group as individuals and group was unusually congenial. As a single traveling alone, I was always welcome to sit anywhere in group meals and found interesting conversations." Saso was a terrific guide. He made the trip informative and fun with surprises along the way. "The Plitvice lakes was my favorite place, but the surprise of seeing the Nordic Ski center was very special." This was a great overview of the Adriatic. I really wish it could have been longer to spend more time in some of the areas we barely touched. The lunch between Kobarid and Motovun was excellent and a great stop. "Walking the streets and walls of Dubrovnik was my "WOW" moment. I thought it was going to be Diocletian's place but it didn't live up to my expectations. Overall, Split was still a great, must-see sight. I enjoyed Lake Bled and the castle. I wish we would have spent more time in the Julian Alps. The Roman amphitheater in Pula was a close second for my "WOW" moment. Plitvice was scenic but the crowds overwhelmed the joy of being there." Our 8th Rick Steves tour more than met my expectations with Saso as our excellent guide. I had a wide variety of experiences and especially enjoyed learning about the history and culture of each of the many sites we visited. Lodging was comfortable and food / wine were outstanding throughout the tour. "Favorite moments were traveling through the Julian Alps, guided tours of the 1st century Roman amphitheater in Pula, the Old Town of Split and Dubrovnik. The most moving event for me was learning about challenges in Bosnia-Herzegovina from local resident guides." The Best of the Adriatic Tour was everything I hoped for with a very interesting itinerary, beautiful scenery, delicious food, great guide and fun tour members. This is a very active tour. "I loved Split and Mostar." The entire tour was wonderful from the first to the last day. The accommodations and the food were very good. "My favorite moment was touring the Plitvice Lakes National Park. The falls and scenery were spectacular." The itinerary was well thought through and our guide Saso was excellent. "Slovenia - I had no idea it was so beautiful"
This was our fourth RS tour and this, like our other tours, did not disappoint. The places we went were varied and all unique and beautiful, especially exploring the cobbled pathways in the walled towns. The water views (Korcula, Hvar and ferries) were breathtaking. Plitvice, although very crowded, was beautiful. Loved all the people - our guide Saso, our bus driver Milan, our tour group and the many locals we met. "Going over the reconstructed Old Bridge in Mostar and realizing its historic symbolism. How important it is to recover from conflict...to build bridges between differing and sometimes conflicting cultures/religions." Beautiful countries, wonderful group, and one of our best guides ever (Saso). This was our fourth RS tour and we thought it was the best yet. Was a lot more travel and moving around, but the trip covers a lot of diversity in culture and geography. "Probably Mostar - thinking how savage the war was to the people and the land yet how warm and friendly and resilient they were. Though it has far to go in recovery we left feeling uplifted that if they can come through it and forgive the scars there is hope for humanity." This was simply an amazing experience. Slovenia, Croatia and Bosnia-Herzegovina were never on my travel radar until recently. Since I didn't know much (except perhaps all the negativity associated with the wars of 1991-95), everything I experienced was new and unexpected. This area of the world with so very much to offer is a must-see for any seasoned traveler or for those interested in expanding their travel horizons. "It's hard to pinpoint just a single 'wow' moment, but as someone interested in history, I must say I was nearly brought to tears during our visit to the World War I museum in Kobarid. I could have spent the entire day there listening to our wonderful docent/guide/curator, reading the sub-titles beneath all the photos, and studying the artifacts donated by so many people who realized and wished to share information about this important part of Slovenian history." "Wow moment we the view from our hotel in Korcula. The sunrise and sunset were beautiful"
The pace,education and oganization of the tour was very effective. Our leader,Barbara,was terrific. We have traveled extensively for the. last 17 years so we appreciate and recognize how effectively our time was spent and at a reasonable cost too.This was our first tour but for China and already too use your group again next Fall.Thanks for a wonderful experience. "We loved the town of Ljubljana. Barbara was a wonderful guide and very knowledgeable of the Yugoslovia history and complexities." We had the best time. We saw things we never would have seen had we ventured there by ourselves. Our guide was so knowledgeable, funny and kind. Our tour group was cohesive and fun to be with; I imagine some friendships will continue. "I thought Croatia was going to be it, but we were wowed by Slovenia." Barbara was the main reason that my trip went so perfect...yes, it is a wonderful itinerary BUT without her patience, warmth, kind and so very understanding AND problems solving skills, it would not have turned to be one of the best trips I ever had...and I am an international flight attendant flying for 30 years .... I LOVE HER, and she made my trip the most memorable wonderful experience. "Korcula....wish I had more time there ...so relaxing and just a wonderful and beautiful place to visit." With an outstanding guide, Barbara, and an energetic and engaged group, we had a memorable and enjoyable experience. We loved the beauty of Croatia and Slovenia and were glad we experienced Bosnia. Our local guides were knowledgeable and shared personal stories as well as giving us insight into the culture and history of the region. Eating fresh seafood and experiencing the local wines, added to our experience. "Seeing the beauty of Dubrovnik for the first time." I've been on an additional Rick Steves tour and have done walking tours with other companies. This was the best of them all, my favorite. The locations we visited, the tour guide, my fellow tour participants all contributed to making this a great experience. Ljubljana in particular was a surprise, my favorite city we visited. Very livable, very clean, very lively and comfortable. "Walking around Lake Bled. The day was perfect - clear, sunny, mild. The views all along the path around the lake was "wow" views. It almost didn't seem real - or maybe make belief sets created by Disney. Adding to the pleasure was walking with new friends, fellow Rick Steves tour mates." This was my 13th Ricksteves tour. They have all been wonderful and Standout in their own way. The tour group was Outstandingly; friendly, inclusive and always on time. The unknown world of former Yugoslavia gradually became more alive. I sign up for RS tours because the focus is on learning about and experiencing the culture of the countries we visit. We don't just "see" the country. We experience it. I also appreciate it that there is time in the tour for people to explore on their own. The tours always have a nice balance between these two. "It is hard to decide which of many wow moments was my favorite. The Slovenian lakes and alps were a gorgeous surprise I had not expected. Plitvice Lakes National Park was one of the reasons I signed up for the trip and it was spectacular. But then, Diocletian's palace in Split was another reason I signed up for the tour and it was amazing. Can I have 3 WOW moments?" Answering for both Henry and Valerie B. We thoroughly enjoyed the tour and have no complaints. We really liked Ljubljana and wished we had arrived a couple of days earlier rather than one to linger there a little longer. It was a pleasant surprise. The itinerary was perfect except the hiccup in Hvar which was weather related. We were given a taste of contrasting geography from the coast to the mountains ; large cities and smaller communities; ancient and modern architecture. "Plitvice National Park, even in the rain." Great group of tour mates, competent guide knowledgeable in the area and always looking out for his "flock", comfortable bus and great driver, good food (especially at the castle in Ljubljana), most of the local guides were energetic and passionate about their town. "Can I have three? Ljubljana and the natural beauty of Slovenia, Plitvice hike, and the multi-cultural city of Mostar!" The former Yugoslavia is rich in beauty, cultural, historical, and political complexity. Our tour exposed us to aspects of each with as much balance and depth as possible in the time available. Amir's knowledge of the region is both deep and personal. He kept us moving and well organized; dealt with unexpected conditions (delay due to weather) calmly and professionally. Local guides shared a wealth of knowledge and love of their locale. This was our first Rick Steves tour; great job! "The strength and endurance of the people in the face of recent war." This tour drilled down to my soul on the impact of the recent wars in this area. Having a tour guide who grew up in Sarajevo added much to the depth as did several local guides in Bosnia. Because I knew so little about Croatia and Slovenia beforehand, this tour fed my intellect as well. I find myself thinking often about the words of Mark Twain we saw inscribed on a bench in Pula, Slovenia about travel: "Travel is fatal to prejudice, bigotry, and narrow mindedness." "Walking along the board walk in Plitvice National Park and marveling about water, water everywhere and oh so very clear." There is so much variety on this tour: amazing scenery, complex history, beautiful art and architecture and exposure to the various cultures of the region. The tour covers a fascinating and less well known part of Europe that has something to offer every traveler (and some serious lessons to impart). "So many to choose from--ski jumping in Slovenia, the swimming in the incomparable Adriatic waters, hearing the stories of survivors of the recent wars in the Balkans. I found myself saying "wow" often. We particularly enjoyed Split with Diocletian's Palace and the Ivan Mestrovic Gallery." Great trip. Enjoyed the leadership provided by Amir. Locations were vital. Hotels were well located and essential. "Bosnia- the stories of war provided by the local guide and our tour guide. Dubrovnik was indeed a pearl." "There were several of them. The castle in Lake Bled, the winery tour and lunch, Diocletian's palace in Split." excellent tour guide. Learned so much history and Amir made sure I never got lost! "Dubrovnik, second time there. Also LOVED Skojan caves although they were not part of tour!" This was our first Rick Steves tour although we had used his guide books for numerous other independent European travels. We were very pleased with the overall organization of the tour, the logistics, the main guide and the local guides at several of the venues. Their intimate knowledge of the history, culture and current events added so much more to the overall experience, The group was a manageable size and we became close travel companions and good friends by the end of the tour. "It's hard to pick just one WOW moment when there were so many to choose from." I did not know what to expect on this trip and was wonderfully pleased with what I saw and experienced. "There were several "wow" moments. Lake Bled was beautiful. Swimming in Korcula was amazing." The Best of the Adriatic Tour was simply outstanding. Slovenia, Croatia, and Bosnia Herzegovina are all beautiful countries and the people were very welcoming. Our tour guide Tina Hiti did a great job of teaching us about the history of the places we traveled to and supplemented us with local guides who provided added information that helped us understand more about the areas we were seeing. I would highly recommend this tour to anyone who wants to enjoy amazing countries. "I very much enjoyed the entire tour and again learning about the history. Korcula was one of may favorite places on the tour as was the day hike through Plitvice National Park, amazing waterfalls." Another fantastic Rick Steves Tour! We were bowled over by the beauty of Slovenia and would happily sign up for a "Simply Slovenia Tour". Tina was the tour guide that we all hope that we get. She has the heart of a teacher and we left with a deep appreciation of the distinct culture and history of each of the countries that we visited. We were with a nice group of fellow travelers ( who knew that they could do water ballet?) Fun times. "Ljubljana was a stunner of a city and we will definitely return someday. Mostar broke my heart. We would return there, as well, to honor the resilience of the war survivors and celebrate their recovery. It is a lovely place.."
Had a great time - never realized how beautiful those countries are! "Loved the National Park; Lake Bled; and all the quaint little coastal towns." "In Slovenia, seeing the ski jumping complex which included the parking ramp which was filled with snow for the cross country skiers." This well-structured and paced tour allowed us to explore a part of Europe that many people never even think to visit. The hotels were of good quality and generally well located. Included meals were uniformly outstanding and gave us an opportunity to sample new dishes local to the region. The group was friendly and fun to travel with. Local guides were great. Our bus driver was magnificent and got us safely and comfortably to each destination. Tina was a fantastic guide! "Mine was Plitvice Lakes National Park. I just wish we could have had more time to spend more time enjoying the scenery." Our first Rick Steve's Tour did not disappoint. The itinerary was well planned. The accommodations were comfortable and the included meals were very good. We liked that the tour size was limited to 28 affording a more intimate group experience. We look forward to more Rick Steve's tours in the future. "My favorite moment was the time we spent on Korcula. What a beautiful island!" The Best of the Adriatic Tour (Slovenia, Bosnia, Croatia) was presented by a knowledgeable "native", with love for her topics ... and as a genuine (not sub-contractor) Rick Steve's employee. The balance of "active" scheduled and "free" time was well balanced. I especially liked the smaller group numbers (max. 28 people), games we played to memorize members names and personal buddy specifics. No additional "guide tipping" along with the special regional "treats"... put the frosting on the cake! "There were many "wow" moments on this tour: The guided walks and "Chill" moments of Ljubljana; Walking and dining around Lake Bled with the members; Plitvice Lakes National Park nature hike and group party; Split guided tour; Opatija city self guided tour; Guided and Free "swim" times on Hvar and Korcula; regional music played on the bus; history of Yugoslavia; and sights in Dubrovnik." Well organized. Well-paced. Excellent food of the regions we visited. Great group of fellow travelers. Good balance of history and sights. Our guide, Darija, had a good sense of humor and effective leadership skills. Our diver, Milan, was very skilled. The description of the history and sights by the local guides was very educational and interesting, but particularly touching were their personal stories and experiences. Personal audio devices during local guide presentations helped immensely. "Learning about the effects of war over the course of history in the areas we visited and seeing the seeing them firsthand. Particularity poignant was the WW I museum in Kobarid. And actually viewing the mountaintops above the Soca Valley where the intense battles were fought was a "wow" for me." This was our third Rick Steves tour and like the first two we were very happy with our decision to rely on the Rick Steves professionals. "There were many! I would have to say that the beautiful sunset in Motovun and the drive from Ljubljana to Kobarid were both spectacular." We had a wonderful group and a wonderful guide! It was a well planned out itinerary and it's nice to have 2 days in the first location for any lost luggage or lost tour members! The format of part "tour" and part free time is the BEST for me! I love the opportunity to explore with or without any of the other tour members. Having taken the Best of Eastern Europe before this trip, I had visited a few places in Slovenia and Croatia, but that did not diminish my repeat visit. "Korcula! What a GREAT place and for a small town, plenty of things to do and to explore! The water in Croatia is SOOOOOO clear and beautiful. Dubrovnik!! Oh My Goodness! I couldn't get enough of it! Went around the city wall each day even in the heat of the day! And the Hotel was SO fun in the Labad area. Lots of things to do and see." This was my second RS tour and it was even more perfect than my first 18 years ago. Everything ran smooth as expected. I personally think a guide can make or break a tour and Darija was an outstanding tour guide. She was efficient, always there to answer questions and very knowledgeable on just about anything that was put before her. She had a great infectious attitude and I felt so lucky to have her as our guide. "I think my favorite moment was going into Bosnia. I've never been that up close to the devastation of war and to see it and hear about it from our guides made it all that more impactful." The tour was fantastic. The guide was wonderful. The other tour members were fun to be with. The locations visited were perfect. The amount of busy days to more relaxed days were just right. I will be recommending this tour to my friends. "I especially loved Ljubljana. Very quaint city that did not feel overrun by tourists." This was simply a wonderful experience! It was our first Rick Steve's tour and was everything we hoped for. (We have used Rick's books and advice for years of self travel.) Our tour was well organized, took us to beautiful places and left us smiling every day. Darija was a fantastic guide! She shared her wealth of knowledge while keeping us on track with good humor as she managed all the detail of hotels, meals and ensuring we had a real taste of the communities we visited. "There were so many amazing moments, but the island of Korcula was my favorite! The beautiful sparkling sea surrounding this little gem was so memorable. Our sunset cruise was incredibly scenic and relaxing." I had a wonderful time everyday. Our tour guide (Daria) was very professional and knowledgeable. I felt very safe with our bus driver. The tour guides we had at each stop were amazing as well. I have celiac disease and my dietary needs were met throughout the trip. The people that I traveled with were an amazing group as well. "I enjoyed absolutely every minute of this trip. Each day was a 'wow' moment for me." The Best of the Adriatic was our first Rick Steves tour, and we loved it. We discovered a beautiful part of the world and experienced many wonderful things. Our hotels and meals were fantastic. Our local guides had amazing knowledge and shared it in a light and fun manner. Darija was terrific as she deftly managed an ambitious itinerary, keeping track of our group and enlightening us at the same time. "Plitvice Lakes National Park was my favorite "wow" moment. So many wonderful water features located in such a small beautiful area -- a truly unique wonder. I only wish I could have spent even more time in the park to take photographs." Great experience -- a good balance of information, sight seeing, and down time. The "extra" side trips and stops were wonderfully unexpected and informative. Sharing the experience with fellow travelers added so much. Good reasons to take a tour, rather than doing it on our own. "The Lisjak winery tour and lunch in Slovenia and the full moon over Dubrovnik's old town." The rating of "outstanding" is in large part due to constant tweaking and adjustment by our guide Darija Gotic. Case in point: the planned Plitvice Park tour on wooden walkway. Both she and driver Milan worked to get us to the start by 8:05AM, thereby jumping ahead of the masses of other tourists keen on getting into the park quickly. We skipped lots of other people logjams in various sites due to Darija's being on-track to decide on the best times. Darija is a gem. "Our pre-arranged tour or Croatia/Bosnia is complicated, but the guide engaged to meet and provide lecture history for our group was excellent. Usual guide was not there, but this man was a substitute, and very knowledgeable in facts, plus how to present them to help us comprehend. Local guide in Dubrovnik Roberto was enthusiastic and his passionate interest made his remarks and historical facts glow for us." It was a fantastic adventure. Every day was amazing. Our tour guide was wonderful, Darija. Not only was she extremely knowledgeable she had a great sense of humor too ! I especially appreciated her own views on certain topics we discussed as it gave me insight into the local perception of certain matters. We learned that Hvar is being eliminated from future tours which I am sorry to hear as we all loved it ! I wish Zagreb was included as I hear this is an amazing city as well. "Dubrovnik Eating lunch at the house of the award winning wine maker in Slovenia"
We saw places we never expected. Each day was like a surprise gift, our tour guides were "real" people who cared about their Cities and it came through in their stories and teachings. I left feeling the Soul of the places we stayed and visited, it's easy to carry that in my memories for a lifetime. "Mostar cityscape from our inn room." I really loved the trip. I got tired and could hardly get up some mornings but loved seeing everything that we did. The group of people were great. Bus really comfortable. "I loved swimming in the Adriatic Sea. I was never in a country devastated by war and it really hit me hard. I feel so blessed to have never gone through a war." This was a fabulous tour that included an incredible guide, lots of education from our main guide and our city guides, gorgeous nature sites, breathtaking medieval cities, delicious meals, tasty wines, lots of room on the bus, comfortable hotel stays, plenty of free time. We booked our trip as soon as it became available. We spent more than a year researching all the places we would see. We watched YouTube videos and read books, and still It exceeded all our expectations. "I couldn't narrow it down to one. I fell in love with the architecture of Ljubljana. I was riveted by the WWI history of Kobarid. I was romanced by the castle town of Motovun. I was in awe of the ancient ruins of Split, Dubrovnik, and Pula. I relaxed in the clear waters of Hvar and Korcula. I ached in the war aftermath of Bosnia. I enjoyed all the friends we made. But I think my "wow" was our guide Darija. She was smart, funny, sassy, protective, helpful. Each memory includes her sweet face." Another excellent tour...but, we have come to expect nothing less with our Rick Steve tours. "Our "wow" time was in Korcula....we enjoyed the island, the beach, the hotel, the town and the boat trip. We also enjoyed the local folk signing and dancing our second night there. A second "wow" experience would have been our day in Plitvice Lakes National Park...just beautiful. FInally, we throughly enjoyed our time in Ljublan....both before and during the tour." This was my first Rick Steves tour and only the second tour I've ever done. The choice of destinations and accommodations were excellent. As a fairly recent widow this was also the only trip I've ever done completely on my own. I felt safe and included at all times. Everyone on the tour was like minded and we truly enjoyed each other. "I truly can not answer this question. I was wowed by every single destination. They were all unique and incredibly beautiful. I will say that I plan on doing this all again once I have found someone to share it with." This tour was of the same excellent quality as the previous tours we have taken with Rick Steves. I am gratified to have experienced the Adriatic countries both for their beauty that is attracting so many tourists now and for having learned more about the complex and often tragic history that has shaped them. Most of the people we encountered (except some of the border guards that our guide had to deal with) were kind and friendly towards us. "Although there were many spectacular sites, I was amazed at Diocletian's Palace. It was beautiful and I loved how it has been incorporated into the modern life of the city of Split. The archeological work that has been done there was fascinating. It was so amazing to see all the beautiful golden brown columns that the Romans stole from ancient Egypt still in place and perfect. I loved the Croatian singers in the vestibule and happily bought their CD." What a fabulous tour! Every day was a revelation as we visited and explored the eastern Adriatic. "It's impossible for me to identify just one wow moment. Every location we visited was a highlight in and of itself. I particularly enjoyed Ljubljana and Korcula." It was an awesome trip packed with interesting tours and guided by knowledgeable local experts. "Walking on the rampart in Dubrovnik." Great guides, great group, and great experiences. "Overall beauty of the area the WW1 information as well as the war torn areas of Bosnia. Very eye opening." "There were two wow moments in the tour. First was looking at Lake Bled from above and the second was looking at the Old Bridge in Mostar Bosnia." I found the Best of the Adriatic tour extremely enjoyable and educational. The tour locations and hotels were excellent. What made the trip so enjoyable was our fellow travelers (who were Rick Steves' tour veterans) and Marijan who was so knowledgeable about the history and points of interest of all the different locations. The tour had a good balance of walking and down time. What I really liked about this tour is the "on-your-own" time we had to roam, or if we felt tired...rest. "I think my favorite "wow" moment was Ljubljana, Slovenia. It was so quaint and reminded me of a small Austrian city." Blew me away, apprehensive at first, but turned out great.Better than expected in almost all regards. "There were so many wonderful, new experiences it is hard to list the big WOW. Every day was exciting and the people on our tour were great." Well organized, well led. It was a great tour. It was well designed for the time allotted to it. Each event or place was well planned and well executed. The highlights were the local guides, they were knowledgeable, humorous, and very insightful. "Dubrovnik was more impressive that I was expecting. Otherwise, the whole tour was impressive. The WWI museum and story was amazing and unknown to me. The various cities we traveled to were interesting and the tour covered them all well, with great local guides." The tour met all our expectations, and more! Our guide Saso was a wealth of information, was always organized, introduced us to the sites and other city guides, and encouraged our participation in the whole experience. We also welcomed the time we spent exploring on our own. It provided a chance to challenge ourselves to be more than a spectator, to become an investigator in our own right. The hotels, for the most part, were quaint and offered a view of the countries too. "Although I loved the beautiful scenery, and all the sites we visited, I think learning about the experiences of the 1990's for the citizens of Croatia and Bosnia was the most meaningful for me. It was a chance to clarify what actually happened over there, and also see what is being done or not being done to help these countries recover." First of all, our tour guide (Saso) was outstanding as were all the local guides as well. The tour was well organized. We stayed at comfortable and conveniently located hotels. Our guides were knowledgeable on the History and local cultures of the regions we visited. Meals were fantastic. We were kept busy exploring the local sites but we also had time off to relax or explore on our own. All in all, it was a fun filled and educational trip. "My "wow" moment was walking around Lake Bled and exploring Tito's home on the lake. I would have to add to that the education we received on WWI in the Alps region of Slovenia." What a surprise! I signed up for the tour primarily because it was a place I knew very little about. Well, I learned a great deal! The history of Yugoslavia was so rich and so complicated. Each country was different and it was interesting to hear the local guides speak about their personal experiences during the Tito years, the Bosnian war, and in the present. And I never expected such beauty; from Lake Bled to Plitvice to the Adriatic, it was stunning! Our tour guide, Saso, was outstanding! "As someone who loves ancient history, I would have to say that my "Wow" moments were the Roman amphitheater in Pula, Diocletian's Palace in Split and the old town of Dubrovnik. You could feel the ghosts of the past all around you. The local guides there, Mariam, Maja and Roberto, were especially good at making these places come alive." It was educational, scenic, and fun! I was primarily interested in this tour as I knew nothing about the three countries we visited and wanted to learn about their history and places of interest. That expectation was definitely met. There was a good balance of both urban and more rural experiences. "Being in Bosnia-Herzegovena - and trying to understand better what caused the recent war in that area. This was something I recall hearing so much about in the news and I never understood it. I'm not sure I really understand it now, but I certainly know more." My overall tour experience was excellent. I got a great overview of the Slovenia and Croatia. I thought the bus drive was long for what we saw in Bosnia but then again I enjoyed what we saw. My one complaint is that we needed more vegetables in our planned meals. "Walking through Plitvice Lakes Nat Park"
This was my first guided tour and I am so glad that I had chosen a Rick Steve's tour. The small group made for better socializing with everyone, and was kept fresh by mixing up the seating arrangement on the bus and at dinners. Learned a lot about the history, culture, and cuisine for each country that we travelled through. Can't say enough how great this tour has been! "There are so many that it's hard to pinpoint one or two. Hiking in Plitvice National Park was amazing with the natural beauty of waterfalls and lakes, taking a dip in the Adriatic on the island of Kokula, and of course the walled city of Dubrovnik." Wonderful first time tour for us. Always been hesitant to travel on any tour prior so this was an experiment for future travels. It could have not been better and we are already looking at tour packages for next year. "The highlights for me were the unexpected beauty and history of Slovenia, the peace and tranquility of Korkula island, the frightening history and hopes of the people of Mostar, and the energy of Dubrovnik." I enjoyed the itinerary greatly. Of course I don't know what I might have missed, but the places we went, the things we saw, the food and wine we tasted were all great (except maybe the Grappa). The explanations of history in the various places was also well done - enough to get the idea, but not so detailed as to be boring. Our overall guide, Saso, really knew his stuff. And the local guides employed were also excellent. "Hard to pick just one, but I'd say it was When we first viewed the Roman ampitheater in Pula. Close seconds are the Lakes at Plitvice, and Bled Lake with the castle in the background." Our tour experience was stupendous! Every aspect was terrific. Saso's professionalism, vast experience and knowledge, and personable demeanor made him the perfect leader for our amazingly congenial group of 27 travelers. Claudio, our bus driver, was delightful and extremely skilled. He could thread the needle with his bus. We had a nice balance of structured time and free time. All of our guides, Saso and the local guides, were personable, interesting and extremely knowledgeable. Awesome! "Plitvice Lakes National Park and old town Dubrovnik were my WOW moments." Tour was well organized with a great tour leader. Special tour guides on city tours were excellent. Hotels were nice and had great variety in what they offered for breakfast. Tour was well planned and allowed for some down time and self touring through-out. "Views of Adriatic sea and Islands"
Great insight of the history of Croatia and the war. Overall was a very good tour thanks to the well informed guides. We had a fantastic overall experience. The tour was a tremendous learning experience about the wars in the Balkans over the past 100 years and how the people have struggled to put the past behind them and become independent countries. We enjoyed seeing the old charming cities, beautiful countrysides and the shores of the Adriatic. It was important to us to be introduced to the diverse culture and food and the friendly local people. Our tour guide, Amir Telibecirovic, was outstanding!! "We had many wow moments: the scenic Lake Bled, the heaven like Plitvice Lake National Park (even in the rain), the walled in, medieval fortresses of Korcula and Dubrovnik and lunch at the family run Slovenia winery. A big surprise was stopping by the Planica Nordic Center watching the ski jumpers train in the summer. We had a wow lunch at Stolac which was amazing." After taking a Rick Steves tour in Italy we thought we would try another one. This one was just as good as the first. I think we will be looking into another one sometime. Amir was a great guide and made the tour special. "There were so many. I didn't know that this whole area was so beautiful." Enjoyed tour very much. A good blend of group activities and free time. Bus time was broken up nicely with several stops which were also scenic and interesting areas. The cities and towns we visited were all incredibly beautiful. I went not knowing much about the area and was blown away but its interesting and complex history and the beautiful settings. Our group of travelers were fun to be with and our guide, Amir, opened my eyes and mind to that part of the world. "So difficult to pick one favorite "wow" moment. The cities, the seaside towns and islands were all amazing. I think my "wow" moment came after I returned home and watched news videos of the war and its devastation of Mostar and Stolac. I contrasted that time with our visits there. Mostar was vibrant and beautiful. The bazaar was buzzing with activity. Stolac showed more damage but is a beautiful area that shows the resilience of its people." It was a wonderful tour of some of the most beautiful surroundings in the world. Every city had some mystery and magic to explore. It was very organized and the hotels and meals were very nice. I have been exclaiming to all my friends when they ask and am sure to give them tour details so they can explore Rick Steves on their own. "It was the Plitvice National Park. It was an outstanding experience. I have never seen so much moving water. The waterfalls and the lakes were crystal clear and the colors due to the minerals rivaled those I saw in Canada at and near Lake Louise." We have traveled a lot internationally and have lived in Latin America, Pakistan and Nepal. This was our first travel with a tour group, chosen because we understood so little about the complex Balkans and know none of the languages spoken there. It was with caution and trepidation that we signed up. But we had a very positive experience and came home raving about it to our friends. "I awoke early the morning after we'd spent the night in Motovan and walked around the castle wall. The village below was still asleep and the clouds hovered over the homes and churches creating a magical moment as I thought of all the people who had lived and worked in the castle, walked the wall and lived in the village over thousands of years. It was a moment of feeling connected to the past and to the great river of humans who have gone before me." This was our eighth Rick Steves tour and was to a region about which we had very little background knowledge and preconceived expectations. As always, we were surprised and impressed with the depth of culture, food and history of the Adriatic. I'm glad that Amir and the local guides were able to bring their culture to light and impress upon us their pride in their heritage - always a hallmark of the Rick Steves tour experience. These personal insights are what keep bringing us back for more. "The Plitvice waterfalls are the eighth wonder of the world. (even after during a cloudburst and getting soaked to the skin...) I would have to say my "wow" moment would have to be the personal stories and insights by our local guides and Amir regarding the Balkans war of the 1990's. I never had a clear grasp of what transpired to precipitate this war, but the personal stories and the crazy conviction by the our Bosnian guides to share and make a better country inspires me." This was my 14th Rick Steves Tour and I have to admit it rates in the top 5 of all the tours. I loved the history, old towns, food, great group and of course our Wonderful, compassionate guide, Sanel Maric. I strongly recommend this tour to anyone who has any doubts about going to this part of Europe. It was an eye opener for me. "So many! Lake Bled, All the seaside towns: Rovinj, Split, Hvar, Korcula; the wonderful hike in the Plitvice National Park, The enlightening visit to Bosnia's Mostar. And so many little surpises along the way, a visit and lunch to our guide's hometown of Slovac, the ski jump, the lippizan horse farm and the fantastic food, wine and gelato!!!! These are just a few of many more wonderful moments. The WW1 Museum was very interesting." This was my first Rick Steves tour and I had very high expectations having used Rick's books and having watched him on tv. The tour well exceeded my expectations. The wonderful sights we were brought to was well beyond the published itinerary. Our bus was comfortable with an added touch of beer and water we could purchase when traveling. Our guide was excellent as was the group of people we toured with. I was amazed at how safe and beautiful these countries are to tour. "While each day provided several "wow" moments our visit to Mostar and Stolac in Bosnia and Herzegovina is a time that will remain with me. Hearing the story of the '92-'95 war and seeing the area effected and now rebuilding touched me deeply. Our guide, Sanel's, positive efforts and spirit for the future of his homeland and his charitable work in the area especially with the children "wowed" me. It was a joy to visit the children!" This was our first Rick Steves' tour after many years of using his European travel guide books on our own. Our expectations were high, and we were not disappointed one bit. We loved the tour size (27 interesting, kind, experienced and flexible travelers), the pace (2 nights in most hotels and a nice balance between structured and free time) and the variety of experiences throughout the trip (historical, scenic, cultural, and artistic), all under the leadership of a fantastic guide, Sanel. "There were so many "wow" moments...here are three: Plitvice Lakes National Park was overwhelmingly enchanting, even in the rain; our visit to the Boris Lisjak winery was amazing - a superb culinary experience highlighted by a passionate Slovenian family; driving through the spectacular mountain scenery of Slovenia and Croatia on a beautiful bus and experiencing little hidden gems like the Lipizzaner horse farm and the Planica ski center." Awesome tour. We enjoyed the variety of the history, landscape, food and people. The tour guise (Sanil) was fantastic. "The beauty of the Croatia coast. The personal story regarding the war in Bosnia." "That I finally got in the Adriatic Sea while we went on our little sailboat"
Best of the Adriatic was just that. Equipped with one of the best guides I've ever had the pleasure of knowing, we hit the sites, the cities, the national park, and the beaches. From the food, to the wine, to the island relaxing, it was all top shelf! This was such a great tour. "Could it be lake bled, could it be the visit to Rovinj, maybe the lady squatting a deuce beside the path in Plitvice National Park 100m from the washrooms, maybe, but the day in Hvar takes the victory. Such a great island getaway. The views were spectacular, our balcony lunch was First Class, and the memories I now have of what my eyes have seen can never be forgotten..... but the lady in the park is a very close second!" The tour was fantastic! Very well planned & executed, optimizing time to sightsee & explore. Ljubljana was quaint & each stop thereafter was increasingly more spectacular. So many cool fortresses, castles, ruins, seaside promenades, harbours, parks & towns to explore, plus fabulous hidden restaurants hanging over cliff edges. So much beauty to cherish, as well as culture & history to absorb. An incredibly enjoyable & well paced tour. Loved it. "Tough to pick a single wow moment because each stop after Ljubljana got better & better! Each harbour & hillside town was beautiful in its own way, & so fun to explore. Even the pit stops & sightseeing along the way were amazing. If I had to choose though, my wow would be Hvar. The harbour town was beautiful, the fortress & its views were out of this world, the promenade was spectacular, & the food was awesome. Loved Hvar." The tour organization was excellent, the places visited beautiful, the tour guide, Sanel, was simply fantastic, food experiences were great!. The transportation was also good. I provides sufficient time-off to do things on our own. A lot of memorable exciting and beautiful experiences. "The arrival and boat ride at lake Bled and definitely the walking experience at the Plitvice Lakes." Our tour guide Ben made this tour one of my favorites, and I have been on 6 Rick Steves' tours now. Ben provided extensive historical and cultural information relevant to Slovenia, Croatia and Bosnia-Herzegovina, with its very complex recent and past history. He encouraged learning some useful phrases, in Slovenian and Croatian. The venues, tour guides, hotels/motels, and local restaurants selected for this trip were wonderful. "I had 2 "wow" moments. The first was of course Plitvice Lakes National Park--absolutely fabulous scenery, very unique. The other "wow" moment was the excellent guide Sanel of his hometown of Stolac. Sanel's dedication to work on peaceful coexistence in this war-torn town, in spite of his traumatic childhood during the Yugoslav wars, was truly inspiring. This tour, and his history and hard work running an NGO for children in Stolac was a definite highlight on my tour!" We had a fantastic tour guide, Ben Curtis. Ben has an extensive background, knowing the history, culture, food, and characteristics of the people of the region well. He is very organized and though American, knows the languages well. He taught us useful words and encouraged us to use them. In addition, he has a great deal of respect for the people. We were with a great group of people and he helped us meld as a group. I found all three countries to be very interesting and well worth a visit. "We were fortunate to be in Croatia when they were competing in the World Cup. We were able to watch two winning games, including the semi-final, in outdoor cafes with the excited, cheering Croatians. It was amazing for such a small country to make it to the final game. So much fun watching and celebrating with them." This experience was our first Rick Steves Tour and we couldn't have been more delighted. The days were balanced perfectly between travel and leisure, group time and time on our own, dinners together and dinners alone. I also appreciated the detailed experiences that we could not have participated in without this tour. The dinner's at wineries and in the country along with specific recommendations made by Ben made our dining events a success every time. "We loved the Lake Bled time eating cake and the tour of the island. We also really enjoyed the Motovun hotel and views from that magnificent place. Of course who could deny the beauty of Plitvice National Park and the 10+ mile walk through the mesmerizing boardwalk view of falls after falls and inexplainable beauty! How on earth in countries along the Adriatic can we limit the "wow" moment to just one place???" This was my second Rick Steves' tour and it was a blast. Since this was my second RS tour, I expected to learn during my travels, meet like-minded people, and visit amazing places. My expectations were met, if not exceeded as Slovenia, Croatia, and Bosnia and Herzegovina did not disappoint. "Two "wow" moments stood out during this trip. The first, was driving through the Julian Alps from Slovenia to Croatia. We stopped in Planica at the Nordic Centre and I couldn't believe the terrain encompassed by the unique valley - the greenest pastures, snow-capped mountains, dark green forests, and the world-class Nordic Centre. The second, was the beauty of Plitvice Lakes National Park. Pictures do not do this wonderful place justice, you must visit to experience it." EXCEPTIONAL TOUR - GREAT PEOPLE - GREAT LOCATIONS - GREAT GUIDE BEN WAS VERY PERSONABLE AND HAD GREAT KNOWLEDGE OF THE AREA AND WAS NOT AFRAID TO GIVE HIS OWN IMPRESSIONS OF EACH AREA. GOT GREAT INSIGHTS INTO THE PEOPLE AND HISTORY. LOVED THE EXPERIENCE. "SOME ABSOLUTELY REMARKABLE LOCATIONS. LOVED THE BOSNIA EXPERIENCE AS IT HAD SOME VERY PERSONAL TOUCHES. OVERALL ALL GUIDES WERE GOOD"
Very good. Comfortable bus. We enjoyed the hotels. Provided meals were excellent as were the sites. There was a bit too much free time. Especially difficult was the Monday Slovenian holiday in Lublyana on the first full day of our tour. As suggested by you we arrived a day early to acclimate and we had time to see much of the city. Not informed that all museums and most stores would be closed on Monday was a big mistake on your part. We would have changed our plan if we had known. "I have to put more than one wow moment: 1. Waterfalls at Plitvice 2. World War 1 museum 3. Walking the big wall in Dubrovnik 4. Climbing down a ladder embedded in the rocky shores of the Adriatic to swim in the beautiful turquoise water - on a very windy/high wave day 5. At the Lublyana flea market finding a metal wall sign showing 4 glasses full of beer with foam that reads: It's Beer O'Clock." Ben was extraordinary - his knowledge, know how,experience, engagement, and energy (KKEEE score was off the charts). As a psychologist I really appreciated Ben's skills with the group and his heart and commitment to the Rick Steeves approach to travel. "Lake Bled, Croatia National Park, Ski Jumping Facility, Bosnia was a nice surprise." It was wonderful from start to finish. Our guide, Ben was excellent and made the trip extra special with his insights and knowledge but most of all his passion for the countries, the people and the history. I had been told by others who had taken this tour that the places were beautiful but that did not begin to describe the beauty of the towns, countries, mountains and coast. Each local guide was also wonderful. The mix of towns and countryside was good. On a scale of 1-5 this gets a 10. "In the area of nature, Plitvice Lakes National Park was Waterfall Wows over and over. What a magnificent place. The history would be Diocletian's Palace in Split as well as the Amphitheater in Pula. Of course, Dubrovnik is a wow, wow, wow. The island of Korcula was spectacular in so many ways..performance by swordsmen, the cruise, ferry ride and time to simply explore and did I mention the glorious water colors... Understanding complex issues would be our time in Bosnia." The overall tour experience was very good. We were able to see and connect with the culture, history, and geography of this important area. Also were able to get a better understanding of the issues that led to the early 1990's conflicts. Also felt a connection to biblical times in the Adriatic Seaside cities. One minor distraction for this tour was the large amount of time spent on the tour bus traveling between stops and sights. "Wow moment was seeing, hearing and gaining better knowledge of the important geographic and historic setting of this area and of the multiple religious faiths present where the "East and West meet". Mostar Bosnia was a good example of that melding of cultures even though there is still a lingering unease and tension." The tour was awesome. What made it esapecially great was our tour director, Ben. He was so knowledgeable about the area and was able to communicate the information in a way that was very understandable. He is also very passionate about the area which helped to excite the group. "It would be difficult to pick one moment. There were so many....our time in Bosnia, the beautiful capitol city of Ljubliana, swimming in the Ariatic, so many to choose from." I had a great time and learned a great deal about Slovenia, Croatia and Bosnia. The tour was superbly organized and managed by our guide Barbara Jokopic who always seemed ready to handle both the planned agenda and the unexpected with great results. "There were many "wow" moments, but the two that stood out were the wonderous walk among the hundreds of waterfalls in the Plitvice National Park and the super relaxing day on the island of Korcula. Some of the secondary "wow" moments might well have been firsts on other tours." I really enjoyed being on the tour with Barbara. She was very personable, knowledgable and great at dealing with any emergency (one traveler was ill and had to be taken to the doctor for an exam and then two IVs while we had a very long wine tasting). I loved the islands of Croatia! The bus ride was a little wearing, but i sat in the back with the cool kids who were not motion sick, and we had a great time. "I especially loved the beach time in Korcula and swimming from our hotel beach in the Adriatic Sea. I had done the Prague/Budapest trip right before this tour and discovered that looking at so many Parliament buildings and castles was making me tired, and all i wanted to do was go swimming when the opportunity presented. I swam in Rovinj, Opatija and Hvar. I swam in the thermal baths of Budapest. Swimming in Korcula was the BEST!!!" So Beautiful! So Interesting! So Relaxing! There were many places we visited that surprised me with how romantic they were. Barbara is fabulous, the local guides amazing and best of all my fellow travelers were all great. 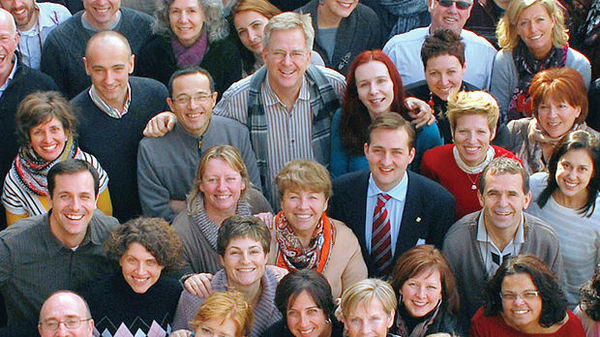 "More than one favorite as is always the case with Rick Steves. Our visit to the WWI museum, dinner in Ljubljana along the river on our own before the tour started (people watching and food was great), the center for at risk children, wine tasting and lunch at a lovely vineyard (never heard of wine from that region), vacation from our vacation was an amazing day, seeing the bridge in Mostar." The tour experience was much more than I had expected. There was so much that I learned and, as a consequence, now feel about the region and its people. I wish them all continued healing and a growing sense of unity. "The boat ride to Bled Island on Lake Bled. The island, and the church of Assumption of Mary, was a truly quieting and and inspiring experience." The tour was so rich, varied, interesting, informative, eye-opening, and beautiful that it is hard to describe. We had a wonderful, compatible group of travelers who enjoyed each other which made it fun to sit with different people and get to know them. The six local guides and Barbara, our main guide, were all tremendously knowledgeable and very helpful in understanding the culture and history of the areas we visited. Overall it was a wonderful experience! "A favorite "Wow" moment is hard to pick. Korcula and Plitvice Lakes National Park were tremendous, but truly the variety and depth of the entire tour was the highlight for me. I could not possibly have put together a similar experience on my own." This was my first Rick Steves tour and met all my expectations and more. We had a friendly, interesting and fun group of people and a great guide throughout the 14 days and many locations. The group was mostly couples but those os us were singles never felt left out. There were so many highlights starting with the Castle dinner in Ljubljana and continuing through Slovenia's lakes and Soca valley. Each brought a new experience, historical sites and gorgeous scenery. "Plitvice Lakes was the big "Wow" for me--countless waterfalls of all sizes and boardwalk paths." We accomplished everything on the agenda, which included an abundance of destinations in 3 countries. Our tour group was delightful as was Barbara, our guide. Constructive criticism of this trip includes: 1. too many hotels. Eight hoteIs with numerous single nighters is just not for me. 2. Bosnia was difficult. Took nearly 2 hrs to get through Border Control. Arrived very late. One night in the hotel & we were gone. Not enough local experience to justify the hassle. 3. Too much beach time. "Favorite WOW moment was visiting a jazz club in Split with 3 other group members. There was no live jazz, but the club played standards - both vocal & instrumental, plus it housed a library. We started naming the tunes & the owner - an Argentinian - joined in. As we named artists correctly, the owner started interjecting questions on literature, writers, etc. When we got correct answers, he gave us shots of Croatian liquor. Of course, this encouraged us. We were there for over two hours." Amazing tour; we accomplished so much in 14 days without feeling rushed. Barbara was an exceptional tour guide, she knew when we needed rest stops, snacks and kept us informed how to plan for each day. Enjoyed the historical and political insights from Barbara and local tour guides. Well balanced between group tour gatherings and free time. The free day in Korcula was well deserved, please keep that on the itinerary! "The Istrian Penninsula with its Italian influence in Pula, Rovinij and Opatia." What an amazing experience! In the words of Rick Steves, truly eye-opening. Scenery was unexpectedly gorgeous and the people were wonderful. Our travel companions were all interesting and caring folks and it was a pleasure to travel with them. "Hard to list just one " wow" moment. The view from the castle in Ljubljana was the first. The whole of Plitvice Lakes National Park in Croatia, Lake Bled, and being in Dubrovnik during the World Cup game that advanced Croatia to the Semi-finals was really exciting!" I suffered from allergies to cigarette smoke throughout the two weeks. Allergy medicine could not keep up with the amount of exposure. This definitely impacted my enjoyment of the trip. "Kor?ula! Exactly what you anticipate from a trip to the Adriatic. Beautiful, relaxing, water sports, beach time, walkable." "Plitvice National Parks with falls of all sizes. Also the towns of Rovinj with its up and down cobbled streets and Korcula with its short, up and down alleys full of colorful plants and store displays." We have been on 5 Steves tours and I think that this was the best. A great combination of touring a fascinating and diverse area I knew virtually nothing about, a remarkable guide in Sanel, really great companions in our other travelers, and almost perfect weather! The combination of wandering the narrow old streets of Ljubjana, Split, Korcuna and Dubrovnik, the remarkable walk in Plitvice National Park, and the island hopping were such great experiences. "A tough one. I think there is a tie between the walk in Plitvice National Park with its 26 lakes and hundreds of waterfalls and the walk on the ramparts of old Dubrovnik. I guess any thought of "wow" moments on this trip come from the many walks we took in cities and the countryside. Just wonderful. Also great wow moments to be in Motovun and Korcula as Croatia won its World Cup matches!" Best tour guide, Sanel, best group statics & dynamics and best tasting group dinners of any of our other 4 RS tours. Breathtaking scenery throughout. As always, could have used more time in almost all stops. A tour group of 26 that jelled almost from the get-go. Everybody so friendly, accommodating and interesting. "Had wow's at almost all locations. Best were o Hiking Plitvice Lakes National Park and taking in the crystal clear lakes and majestic waterfalls. o Walking the ramparts of Dubrovnik and pondering how those 80ft high, 20ft deep walls were engineered and constructed." This was my first Rick Steve's tour. A great blend of history, culture, culinary experiences and scenic beauty. Our guide Sanel was terrific. He was organized, had a great sense of humor and passionate about providing insight into this part of the world. We had 26 wonderful "travel buddies" and a great bus driver Milan who drove us to all our destinations safe and sound. The hotels were very comfortable and the provided meals excellent. Would definitely recommend this trip. "If you enjoy traveling to other parts of the world to experience the culture of the people and the beauty of the landscape, then every day was a "WOW" moment. Mostar and Stolac in Bosnia stood out because of the remnants of the destruction that occurred in the 1990's war that ravaged the towns and its people. Standing on the balcony of our hotel in the early morning gazing up and down the Neretva river, peaceful and beautiful. The Old Bridge spectacular." Beautiful countries and people. Sanel was an incredible guide. He was kind and patient and knew so much about his country. I do believe he is the best guide I have ever had. Having this trip during the soccer world cup was an exceptional experience. We had an accommodating group. A few years back I went on the Eastern Europe trip with my mother and sister in law, it was awesome. I had always thought my husband would love the Adriatic and he chose this as his first Rick Steves Tour (with a little push from me). He also loved it. Our guide was amazing and we had a wonderful group- I have been on 9 tours and this was the most jelled group as well as a thoughtful, friendly and funny guide. "Hvar- it was a unexpected day. From walking up to the fortress and exploring the town. We had a wonderful lunch and just enjoyed the quaint town." This was our fourth RS tour and in our opinion the best ever. Though the itinerary was wonderful, it was the performance of our guide that put the experience over the top. Sanel went the extra mile to ensure everyone was well taken care of. "There were so many, but one of the best was spending a day at incredibly beautiful Lake Bled." Our first tour with you. It has been many years since we have travelled with a tour group. However it seemed overwhelming to book and coordinate everything we wanted to see We are so happy came across your "Adriatic tour". Was a really good experience for us !!! "Our friends have asked thus same question? I cannot answer as each experience was very unique. Each country had such diversity , would not have wanted to miss a moment." The relatively small number of participants--26--and the nice pace of the tour made it one I would recommend. "As a lover of nature, the visit to Plitvice Lakes National Park was a highlight for me." From start to finish, the tour wove history, culture and natural beauty together. This tour truly exceeded our expectations in every way! There were so many highlights: We loved exploring the cities (Ljubljana, Dubrovnik) and towns (like Hvar, Motovun). The Plitvice National Park was exquisite and the Roman ruins of Pula and Split were some of the finest I've ever seen. The Dalmatian coast and Adriatic were absolutely stunning. In addition to the beautiful scenery, the people were very welcoming and our tour guide was excellent. "There are far too many to name. We really had an exceptional time." Probably the best one we've ever had! Tour guide Tina was so knowledgeable, so organized, efficient and fun. We learned so much about Slovenia (including a visit to her hometown) both politically and locally as well as Croatia. The weather was spectacular, travelling companions the absolute best and there is nothing I would change! "The view in Hvar from the fort at the top was absolutely breathtaking. Worth the stairs in the 31 degree heat!" AMAZING tour! We were lucky to have one of the "authors/creators" of the tour. Tina was passionate, knowledgeable, and accommodating to all. "The falls at Plitvice National Park! Stunning, powerful, majestic, and breath-taking!" I enjoyed the whole Adriatic experience including the varying architecture and cultural differences of the regions we visited. The Plitvice region had the most amazing vista of lakes and waterfalls that I've seen in many years of travel. Learning about the ethnic differences involved in the wars of the past and the viewpoint of our guides involved gave me a perspective that brought a greater understanding of both the political and personal aspects of the conflicts that enhances my travels. "While I enjoyed the guided portions of the tour, I found the Metelkova district of Ljubljana that we found on our own to be my favorite. I've always had an interest in art and I found this amazing collection of murals and sculptures to be the most fascinating art collection I have ever viewed." We had an outstanding guide who looked after every detail I would divide the tour into three main categories. First, it was very educational. I was aware of some of the area's history, but Tina (our guide) provided us with so much on the history and background of each country. Second, the scenery was incredible in Slovenia and Croatia. Third, fantastic food, and I do mean fantastic. "1) Driving through the Alps, the scenery on most of the trip 2)Dinner at the Astarea, a dining experience I will never forget"
I thoroughly enjoyed visiting a part of the world that was completely new to me. I had heard wonderful things about Slovenia and Croatia from other travelers and am so happy to have experienced it with a great group of people and an outstanding guide. Tina and the local guides shared their love of country and culture in such a personal and engaging way and I loved the fact that the tour had a more rural flavor than some of the others I've been on. Our guide Tina Hitl is the consummate professional, informative, very engaging personality, sensitive and well organized. A few times she jumped through hoops to address our needs, like ordering a bus transfer to a restaurant we were otherwise going to walk to in the rain. She was open about her own life experience which added to the depth of our cultural understanding of the territory. "Our visit to Plitvice Lakes National Park, unbelievable locale. Tina helped guide us through the experience and made sure everyone's safety was addressed. Her humor and advice on how to navigate the wave of tourists was an added bonus. This is not to diminish any of our other stops, and it was very hard to pick just one wow moment." Even better than expected. Learned much about these 3 countries: history, culture, sights. Good itinerary, great tour leader. "Plitvice NP. Had seen pictured, but the real thing is amazing!" Our guide Tina was amazing. She was so positive and her enthusiasm was contagious. She knew all the information about the countries we visited plus she gave us insight into life through her stories. I was astounded at the wealth of information I learned about this beautiful area. "There were so many wow moments but for me the highlight was the World War I museum in Korabid. The docent's knowledge was so vast. Slovenia was beautiful. Lake Bled and the Julian Alps were stunning. Isteria offered so much and I really enjoyed our stay in Motovun. Dubrovnik was a fantastic city. The whole journey was wonderful." Interesting mix of truly beautiful locales (Ljubljana, Lake Bled, Plitvice, Rovinj, Hvar, Korcula, Dubrovnik) and complex history (Ottomans, Habsburgs, WWI in the Julian Alps, Tito, the break-up of Yugoslavia and the wars of the mid-90's). Marijan did a great job educating us on the background of what we were seeing and facilitating the day-to-day. Several local guides were especially compelling, including those in Bosnia, the museum guide in Kobarid, and Roberto in Dubrovnik. "This tours lacks a David or Eiffel Tower type moment, but more than makes up for it with the jarring contrasts between Slovenia and coastal Croatia, and our brief time in Bosnia-Herzegovina (Mostar and our stops in Blagaj and Stolac). For me Plitvice, Korcula, and Dubrovnik were especially pleasant, but I felt I learned more from our visit to Mostar and pre and post tour time in Zagreb and Sarajevo." We had never been to this part of the world before, and it was such an incredible experience! All our guides were knowledgeable, so personable, and brought the history to life. The landscape was absolutely drop dead gorgeous, so verdant and lovely, and the Roman ruins were breathtaking! "I have two: Plitvice Lakes National Park - The most surreal and otherworldly natural wonder I have ever seen!!! The azure blue waters were absolutely beautiful and the teal damsel flies were a delight! The Diocletian Palace in Split - We were in 2018 and suddenly, we were back in time to 300AD!!!!! It was jaw dropping!!" This was my first Rick Steves' tour, and it exceeded my expectations in every way. The itinerary had a good balance of small and large cities, as well as natural open space. My tour companions were well-traveled and friendly. Our guide, Marijan, was outstanding. All days involved walking, and some days were quite strenuous. I would recommend that anyone considering this tour be in excellent walking condition. "Plitvice National Park was stunningly beautiful." "Ljubljana. Did not expect such a wonderful gem. Who knew? lake Bled, plitvic and Duborovnik were all great too,but I expected them to be." Wonderful experience! A great mix of history, culture, food, natural wonders! The only part we didn't care for was the visit to the World War I museum. It was long and geared to those interested in battle plans and processes. We would have been happy to skip the museum and go off to explore on our own but there wasn't much to see or do in the town---this seemed like a wasted day. "Plitvice Lakes-we expected this to be spectacular but it far exceeded our fantasies! Lubjuana-we knew nothing about this gem of a town but didn't want to leave! Julian Alps & Lake Bled Korcula-Though intended as a "rest" I think many in our group were blown away by this town. A spectacular thunder storm actually added immensely to the experience!! Sorry-you asked for one "wow"......that's far too limiting!" I think this was the best tour I've taken with Rick Steves...and all of them have been outstanding! "There are so many! I liked Plitvice Park in the early morning, but I think exploring the medieval walls and streets of Split, Dubrovnik or Motovun in the evenings after the tourist have left were my favorite moments. But Rovinj, oh my. I want to return and watch the sunset!" The tour was beyond any expectations that I had. I had reservations about traveling with a group because I have always traveled independently. I discovered that traveling with a group tour had many advantages and enriched the travel experience for me. The combination of an outstanding tour guide and friendly, intelligent fellow travelers made each day of the trip shine. The organization of activities, the balance of guided events with independent exploration was perfect. "I loved Plitvice National park. Because our guide, Marijan, had us up and out on the trail early and planned our route to avoid the crush of visitors, I had moments of walking in this exquisite park in quiet and silence. It was a magical "wow" moment." This tour may have spoiled me for future travel as I usually traveled independently. Everything we did was interesting and I learned a lot. The balance between strenuous days and less busy was very well spread out. Having wanted to travel to Croatia for years and revisit Slovenia made this trip especially inviting. I was disappointed when it filled too quickly. Then when the phone call came to join the tour, I rearranged my schedule to make it work. Having some down time on Korcula was good. "Listing only 1 "Wow" moment is impossible so I will say that Plitvice Lakes, Korcula, and Ljubljana were some of my favorite days. The waterfalls during the walk around the Plitvice were amazing - each turn better than the last. During midday on Korcula, a thunderstorm interrupted my day. It was so gorgeous as I stood safely in a dry breezeway. The myriad of colors in the Adriatic Sea made me want to return - so beautiful!" Knowledgeable, very professional, guide, beautiful scenery, interesting history, and best of all, the group all got along well. Bus driver was professional and courteous. I was surprised at the number of serial Rick Steves' tour veterans in the group. Surely with the resources of Rick Steves' Tours, you could afford to contract with a bus company that offers an onboard toilet. "Wartime experiences related by Bosnian tour guides." We normally travel in Europe on our own but we were concerned about what we might find in Eastern Europe. As RS first timers, we did not know what to expect from a two-week bus tour. But Ben and the RS veteranos were quick to make us feel at home and we quickly realized we had made a good choice. The people were fun, the guide was great, the bus was clean and quiet and the hotel choices were very nice. The itinerary was comprehensive and well balanced between travel and free time. "For me there were many, but I can narrow it down to Plitvice National Park in Croatia and Diocletian's Palace in Split, which is now filled with shops and restaurants, but still has most of the original walls and the foundations in the basements. Third place would have to go to Lake Bled in the Julian Alps of Slovenia." Our Best of the Adriatic tour was wonderful, This hidden corner of Eastern Europe was a magical place from the very beginning. The Natural beauty of the "only in fairy tales" lakes, waterfalls, mountains, green river valleys & the magestic rocky shores of the beautiful Adriatic Sea are places I will never forget. The cities with their white limestone & red tile roofs,many surrounded by walls or over looking the sea with its crystal blue waters. So fortunate to have BEN CURTIS as group leader?? "This being our 7 th Rick Steves tour, I am always WOWED when we approach a city from the distance, wether on a hill surrounded by a wall, or graced by the rocky shoreline & forever azure blue water of the sea. Then the magic begins as we travel up close & personal to experience our well planned journey together." This was a busy, thorough, wonderful tour. The tour guide, Ben, the local guides, and the fellow travelers all were treasures. The food, the people watching, the architecture, the history, the natural beauty, and swimming in the Adriatic combined to make a traveller's paradise. The weather was a little too hot for my liking, and the bus rides a little long. Hvar, which was supposed to be something special, was visited on one of the hottest days and wasn't much fun at all. "I was not expecting to be so strongly affected by Bosnia and Herzegovina. The presentation of the recent wars and their effects on the people, provided by the Adisa in Mostar and especially Sanel in Stolac was truly unforgettable." I loved learning about the countries that used to be Yugoslavia and seeing them, interacting with people both on the tour with me and with the local people. "Hard to choose one! I think my favorite was Plitvice Park -- seeing the waterfalls and walking along the paths." This trip was not what we expected, but was an exceptional experience. Based on the pictures, somehow we thought that more time would be in small towns on the Adriatic like Korkula. Visiting Bosnia & Stolac to hear local guides perspectives on the civil war was touching and eye opening. Their will to transcend the past toward a better future was inspiring,such a valuable experience. "Plitvice Park and Korkula We would have liked more time island hopping." I'm a first timer and although I reviewed the program before hand, I took on faith that the Rick Steves program would be solid. I was blown away by the whole experience; it exceeded my expectations. My wife and I were seasoned travelers based on 'figure it out yourself' travel and day by day I appreciated having all the transportation, hotels and meals figured out by our experienced guide. We also have a very compatible group and over the trip hung out or dined with each member. "Visiting the islands on the Dalmatian Coast. The beauty with the perfect weather made that part of the tour spectacular. Korcula was great for kayaking, swiming and just strolling the town. We had one of our best suppers there too." Absolutely fantastic time! We LOVED Ljubljana and the beautiful drive through the Soca Valley, and the winery tour. I was thinking it would be hard to top Slovenia, until we arrived in Split, Croatia, a fascinating and beautiful city. As has been our experience on all other RS tours, our fellow tour members were fun and interesting folks whom we thoroughly enjoyed. Our guide, Ben, was awesome-extremely well informed, pleasant with a much appreciated wry sense of humor, and very helpful. "Ljubljana. What a jewel of a city. Fascinating history, beautiful architecture, young, vibrant population, beautiful gardens and markets and museums, and excellent restaurants. Our hotel was close to the university, and we regularly heard classical music and choirs practicing in rehearsal halls through open windows on our evening walks. Truly magical!" We loved this trip. Talking with our fellow tour members was exceeded only by getting to know Ben and interacting with local residents. We saw beautiful sights (Lake Plitvice is earth's prettiest place), had unexpected moments of inspiration (Sunday PM worship service in Split), received graduate level history education, and ate fascinating food. Ben was fun, generous, knowledgeable, patient, thoughtful. "Learning from Adisa and Sanel in Bosnia, as they talked about their memories/experiences of the war, and hearing their forgiving and constructive attitude toward the future, even though they disagreed with one another on certain points. I have a new perspective on the history and conflicts of the Balkans." This tour was phenomenal!! Any time I thought things couldn't get better, they did! There was so much natural beauty, great food and wine, great company, and I learned so much about this part of the world. I thought the tour had a good pace and a nice mix of small towns and larger cities. There was also a good ratio of group time vs. free time. I think we had the best guide imaginable too! Ben was kind, helpful, and extremely knowledgeable about the region. "I've thought long and hard about my favorite "wow" moment, and I cannot pick just one. So I will give two. Plitvice National Park was so incredibly beautiful. We spent a very enjoyable morning wandering through the park, viewing one stunning vista after another. My second moment was in Split. After our group dinner, our guide walked us through parts of Diocletian's Palace. Seeing the Peristyle at night and hearing the live music echo through the historical hall was an incredible experience." Our 5th and best RS tour. The stunning views, the great group, and Ben our fabulous tour guide made for a magical trip. I underestimated the beauty of these countries and the knowledge gained by visiting somewhere completely foreign. Lake Bled was amazing, Plitvice magical. Motovun, Korcula, Sptil stunning. But Ben and his humor, knowledge and constant treats made this trip outstanding. Sunset cruises, sladoled, chocolates and a hand written note, he is a delight. All group meals were great! "My first thought is the walk around Lake Bled and the various Adriatic Sea towns. But honestly it would have to be Mostar when we were looking at the Old Town bridge that had to be rebuilt just 25 years ago due to war and suddenly a rainbow appeared. We learned so much from Ben and our local guides. Travel is not just beautiful venues, learning history leaves me a way more educated and thankful person." What made the tour a success were the people. Our guide Ben Curtis was outstanding, his knowledge of the history, politics, and the culture of the people of all the cities, towns and countries that we traveled through was amazing. Ben was our leader, he spent time with all the folks on the trip, alway willing to help you with a problem or answer questions and most importantly Ben has a wonderful sense of humor. Plus our bus driver and local guides were pros and nice people. "My wow moment was the natural beauty of the lakes and waterfalls of Plitvice Lakes National Park. Split came in a close second with Diocletian's Palace and the energy of the city." This was my first Rick Steves tour and in fact my first time on a tour. I have previously traveled thru England and Scotland with a few friends and through Spain with my husband and daughter. I found this tour to be actually a lot of fun and enjoyed not having to be responsible for everything. Plus, professionals with extensive experience in the countries visited can obviously steer you toward the most worthwhile and local venues. And the group of people in the tour were wonderful! "It would have to be Plitvice National Park. I selected this itinerary because of the combination of natural beauty and historical settings. Plitvice was the most gorgeous natural park I have ever seen. The lush greenery, the lakes, streams, waterfalls, dragonflies, boardwalks, bridges, views, just went on and on. Plus we lucked out with a bright, sparkling blue sky after a rainy night and morning. Second "wow" was Diocletians palace and Split in general, ancient and current at one time." After many years of solo travel, this was my first group tour experience. As a result of this tour- I am now a convert. There were many benefits, including a much deeper understanding of the history and culture of places visited, the convenience of having all in-country travel and accommodations taken care of, and lively, friendly and well traveled fellow tour members. Yet there was no sacrifice of my solo travel habits; the free time afforded during the tour allowed me to wander on my own. "The Plitvice National Park. Honestly among the most spectacular natural sights I have experienced during my travels." "Plitivice lakes was beautiful day"
Fantastic guide and overall experience. Especially like to hear the local guides and their experiences. Unfortunately I was ill the first 10 days of the trip otherwise I am sure I would have rated everything outstanding. "That is difficult. I think the beauty of the Adriatic and especially the islands we visited along with the overall character of the locals we met as well as the tour group itself." This was our second RS tour and it surpassed our expectations. Our guide, Ben, was extremely knowledgeable yet had a great personality and was able to convey his knowledge in a way that was easy to listen to and absorb. The group itself was extremely easy to interact with and made for a very fun time. The itinerary and activities planned were fantastic. Even the little extras, ie sunset cruise in Korcula, etc. "There were several "WOW" moments but the beauty of Plitvice Natl Park may have been the greatest. Miles of waterfalls and natural beauty tough to surpass." This was our first Rick Steves tour as we normally take cruises. In two weeks, we explored three countries, their diverse history, geography, and peoples. The tour was extremely well organized. Several aspects stood out. The overall tour guide was helpful, knowledgeable and informative. The bus driver was excellent and safe. The tour participants, many of whom had been on multiple RS tours, were great traveling companions. Everyone kept up with the pace and there was no grousing. "There were two WOW moments, one positive and one negative. The Croatian Plitvice National Park is a beautiful, pristine wonder that must be experienced. Every turn was a new photograph. The negative WOW was our visit to Mostar, Bosnia-Herzegovina, which is poor, has very high unemployment and still has many remnants of the Balkan war." This was a new part of the world for me so I was interested in the history and there's no better way to focus on the experience without having to worry about lodging, food or travel arrangements than to go on a Rick Steves tour. "Each place we visited had its unique charm, but Split was my favorite. Its promenade beside the harbor, night market and live music among the ancient buildings gave it a special, welcoming -- I want to stay here -- feeling." A great group of friendly folks having fun together seeing the world, with expert guidance. We liked Darija's way of playing the obligatory circle-name game, with all of us reciting the names together, saving the faces of we oldies who are losing our short term memory. "Plitvice Park, because it is unique"
The tour was wonderful in every way. Darija was an awesome tour guide and the locations were interesting and often unique. This was our third Rick Steves Tour and it was nice to see that the hotel properties have improved. We even had swimming pools at a couple locations. "It is hard to single out one moment on the tour but our favorites were the amazing Plitvice Lakes National Park and walking the walls at Dubrovnik. In a different way the time in Bosnia-Herzegovina was eye opening and a learning experience. We would not have imagined the amount of war damage that still remains." "I enjoyed the island hopping. 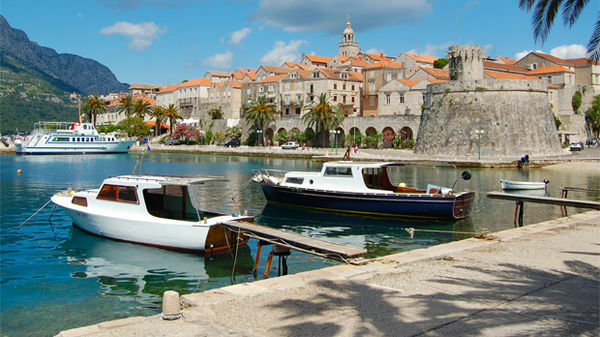 Korcula was a very pretty and enjoyable area." This tour has an amazing mix of history from ancient past to recent. But it's so much more. It has an ambitious agenda chockful of stops. I would have preferred to have skipped the more touristy stops at Bled, Opatia and Hvar to have spent more time at the WWI museum in Kobarid, Plitvice Lakes and Mostar. Our guide, Darija's understated sense of humor added a lot to the enjoyment of our group. The heat and humidity was a surprise. "Even though I live in an area of abundant waterfalls, I was absolutely mesmerized by the countless burbles and gushes from one turquoise lake to another, punctuated by puffs of irridescent blue dragonflies, at Plitvice. And to think that this area spawned the first death in the "Homeland War!" I also enjoyed the uncrowded and charming, narrow, winding cobblestone streets of Rovinj and was moved by the personal stories of the two local guides in Bosnia." A wonderful introduction to these countries which we knew almost nothing about. "Our favorite day was in Hvar which was quiet and beautiful. On Darija's recommendations we ate delicious pastries at Nonica's and sat at a rooftop bar enjoying the view of the harbor. Plitvice was another highlight." Everything that the Rick Steves tours do is well thought out and [INVALID]d perfectly. The only down side for me was the constant history lessons. We had them on the bus as well as the city walking (more like standing in place, tough on old knees). But that is just me and part of the tour group. I think the majority of the group enjoyed the history lesson. But the visual beauty of Croatia was awesome. "I had a least couple of wow moments. The first was Plitvice Lakes National Park. It was non-stop gorgeous from start to finish. Outstanding waterfalls with beautiful lakes. My second wow moment came from your Rick Steves book on Croatia. In Dubrovnik, the guidebook mentioned a scenic spot to go for a drink called Buza. Coming out of that hole in the wall to see a view of the Adriatic was amazing and the drinks were fine also." "The astonishing multinational architecture which encompasses neolithic to modern, inherent in all of the large cities such as Ljubljana, Split and Dubrovnik. Food and wine follow the amazing creative endeavors of the architecture. Boris & Alen and there fabulous wines from there winery Vitovska Grganja were a splendid and unexpected treat as was the wonderful meal at Rovinj cooked over a wood fire and hearth. Slovenia, Croatia and Bosnia are a magical wonders of the world." The tour was an exceptional experience: well organized and educational, and we had an outstanding group of fellow travelers to share the experience with. "The entire trip was "Wow" - but if I have to choose, I would say (1) the amazing war stories of the Soca Valley and Mostar/Bosnia; (2) the beauty and pace of the Korcula area; and (3) the overall experience of Dubrovnik." Our tour was wonderful and it was made so by a combination of an excellent and engaging guide and 25 lively and interesting traveling companions! Our group jelled within a few short days and we had an outstanding driver that took care of us through the entire trip. "This is a hard choice to make as there were so many sights and experiences that knocked our socks off! I guess the one that was most memorable was Dubrovnik and it was made especially so by our extremely knowledgeable local guide who gave us many insights into the city's place in history and how it survived up to the present. My second choice would be Mostar where we had another outstanding local guide who could talk first hand about growing up in a time of war in her native city." Our guide, other tour members, and locals in country who supplied meals and accommodations were fantastic. "A special stop at an Olympic Ski Jumping facility where they saved snow in the basement for indoor cross country skiing!" Educational, nice amount of free time, good choice of towns and activities, great food and choice of restaurants. This was my 7th Rick Steves tour. As with the other six, the tour was done very well. Day 6 and day 11 were long travel days. There were crowds at many of the places on this trip, and it got rather warm some days. People should keep this in mind when choosing this trip if such factors are important to them. This trip has a wide variety of experiences, and is very informative about places and events I knew little about. "There were no outstanding "wow" moments, but there were many very pleasant times and experiences. The fog outside of Motovun in the early morning sure made it worthwhile to get up and get out. This would be my favorite for this trip." "This would be a tie between Plitvice National Park and Korula. RS is so smart to have us start early and at the opposite end of the crowds at Plitvice. And we were so charmed by Korula and very happy to have our "off day" there. And the street cats! I've already created a book of my photos of them for the neighbor who took care of my cat." I have to be honest....I did not want to go on a Rick Steve's tour. I went because my husband wanted to go and I wanted to prove him wrong. Well....I could not have been more wrong. I LOVED IT. I loved everything about it (and I made sure to tell him that I was wrong in case you are wondering). Now the big decision will be what Rick Steve's tour to do next? Sicily? Scotland? Who knows....but we will be back. "There were so many but probably the ski jump curse because it was so completely unexpected. Seeing a snowman in June? Priceless!" I had the feeling I was in superbly capable hands. The hotels selected, the eating establishments selected, and the points of interest visited were superbly chosen. "In Dubrovnik, local guide Roberto stunned me with the depth of his historical knowledge and how he could make sense of it. He not only told the stories, but integrated them into the wider concept of European life." The itinerary was perfect for this region. Our guide was amazing (see below), the guided parts of the tour were very informative and entertaining. Our group gelled really well. There was enough free time so that we didn't feel rushed all the time. "Every day had a wow moment! The biggest one was probably witnessing all of the evidence of the war in Bosnia." My overall experience was very positive and enjoyable. I knew very little about the history of this region and felt Barbara and the local guides did a good job explaining it.I enjoyed all the stops we made, a nice mixture of scenery and history. Barbara's knowledge and pride being from this part of the world was very beneficial to us.I would have to say I enjoyed seeing this region a little more than I thought I would. "Probably on my first night in Ljubljana.Flying from Phoenix our flight left Chicago late enough where everyone missed their connections in Munich. Getting rerouted added another 5 1/2-6 hours to an already long day. After finally checking into the hotel, I walked to the Old Town area just as the evening was settling in, and had a "wow" moment seeing the peaceful river and bridges and old buildings in the Old Town area. That was just the rejuvenation I needed." My wife and I enjoyed Slovenia's and Croatia's natural beauty, and appreciated both learning about the area's diverse cultural histories and gaining much clearer understanding about region's political history and the Balkan wars of the 1990s. Our fellow travelers were stimulating and engaging, and we feel that we gained genuine new friends. The Rick Steves travel philosophy was evident in the tour's careful, thorough, imaginative planning and attention to important details. "Our multiple swims in the Adriatic." Loved most every stop on the tour. Lots of surprises (winery stops, scenery everywhere) - given brief mention in the itinerary that were wonderful. Surpassed my expectations of the types of things we would see. "Plitvice was beautiful; going early in the morning helped with crowd contention." Very favorable. We saw and learned alot about an area of the world that we knew nothing other than news stories from the last wars. We are very glad we did this tour and probably will sign up for others in the future. There were a few too many travelers, i.e., 27 instead of 24 that were on our Turkey trip a few years ago. "The hike in the Plitvice Lakes was magnificent as were the cities of Dubrovnik and Ljubljana. And the picture perfect harbor at Hvar and the restaurants of Korcula were the best!" "Looking out from the deck off of our amazing hotel in Mostar, Bosnia-Hersegovina, and seeing the minarets poking up from the town's tiled rooftops, along with a bit of the Old Bridge that I knew we would be seeing later that evening on our city walk." Had a good time with a very nice crew of people. Felt the days were full and the travel experiences rich and varied. I do have a couple recommendations about the itinerary. I felt our time in Mostar was much too short and our stop in Ston too long. Strongly suggest an adjustment! Also, Day 12 got to be quite long and our arrival into Dubrovnik quite late. Really too bad to feel shortchanged with this jewel. I feel the day could have easily been altered to give us more time in Dubrovnik. "#2 continued. While the visit to the monastery was great, I felt the Stolac stop was pretty unremarkable and could easily be skipped. Also, there is a beautiful Orthodox Church to visit in Ljubljana! My favorite wow moment was our evening visit to the Peristyle in Diocletian's Palace. Goosebumps!" I'll begin with wow! Another extremely well organized tour with surprises at every turn. The tour took us to such beautiful and diverse regions, far exceeding what I was prepared for. The ancient history, the architecture, the natural beauty, the complicated recent history, and especially the personal stories made this tour exceptional. Thank you, Barbara and my fellow travelers for making it such a delightful and memorable trip. "Four of my many WOW moments were Plitvice Lakes National Park, Korcula's Moreska Dance, Diocletian's Palace in Split, and Festival Veli Jose, when lanterns were released into the amazingly clear night sky in Motovun." Another exceptionally wonderful Rick Steves tour experience! Barbara was simply the best guide possible for this trip! She is so wise, unruffled, knowledgeable, and thoughtful every day. "I actually love wandering off and talking to random local people but the tours that ended with spectacular art and nature could not be beat. The experience of Diocletian's Palace in the AM and evening was one great exposure to ancient history still available!" Best of the Adriatic was a wonderful experience. It was my first time in that part of Europe and was fascinating in it's similarities and differences to Western Europe and the United States. The rich, deep history, lush countryside, sparkling coastal areas and very diverse traditions surpassed my wildest dreams! Our guide, Barbara, is very knowledgeable and shared her expertise with the group, aiding us in developing our own appreciation for the Adriatic. She was most helpful in all aspects. "Plitvice Lakes National Park, Slovenia! There was a thunderstorm the night prior to our visit, so the streams and falls were raging. The Park is a true Eden. Quite easily the most beautiful hike I've ever experienced!" It was a fascinating look at the Adriatic are filled with history and walking and good food and fun times with other tour members. Our guide, Barbara was fantastic. "I had so many but the Plitvcicka nacionalini Park was truly amazing. The water falls and the lakes and the boardwalks were so much fun to see and experience." This was my 7th Rick Steves tour, and it was a stunner. As with all of the tours it was a very good mix of historical sites, scenery, education, dining/wining(!) and conversation. We saw amazing cathedrals/mosques, we saw castles, we walked in the gorgeous Plitvice Lakes national park, and swam in the Adriatic. We went wine tasting in Slovenia and in Bosnia. The group was especially fun, kind, and interesting. Each of my fellow tour members added something important to my experience. "It was a tour full of "wows". For me the most magical moment was following our guide into Diocletian's palace in the evening of our arrival in Split. We'd just had a loud and lively dinner, Barbara bought us an ice cream (because we'd been such good kids in the bus ;-)). We followed her and emerged, completely unexpectedly, into the square in Diocletian's palace. It was like arriving unannounced at a party, the only thing you can do is join in. WOW!" I loved this tour...my first with the Rick Steve's organization. Barbara was a wonderful guide for our group. She took such good care of us...and for me that meant going to a medical clinic along our our route to check on a wound I had gotten the morning of the day our tour started. She was patient with a few who left stuff strewn behind us. More than all of the above, she gave us such a grasp of local history throughout the the tour. I learned so much from both her and the local guides! "That is hard to say. Perhaps the winery visit or staying on the top of Motovan and the views from there...with the lit up lanterns that sailed into the sky our last night. The views of Lake Bled and the Julian Alps. Maybe seeing the Adriatic Sea for the first time and it's amazing color. It's just too hard to pick one moment." The tour, our guides, our fellow travelers and all of the stops were simply great! However, the pace was a little too hectic. Consider reducing the number of stops so each can be more completely savored, studied and enjoyed. Just as an example the Ski Center was good, but it did take some time from other more important stops. If at all possible add another night in Mostar! "The evening call to prayer from the temples in Mostar!" As with all of Rick Steve's tours, this one was well organized and each stop along the way was beautiful. The history of the places along the Adriatic is amazing and brought to life by the guide, Tina who was very willing to share her love for her country and her knowledge of the area. "It is difficult to single out only one moment as everything and everyplace held special magic for me. This has always been my experience with these tours so I guess I would have to say my "wow" moment was just being on another fantastic Rick Steve's tour!" My husband and I are definitely Rick Steves fans and this tour was no exception. We really enjoyed being able to explore and learn about countries that we were unfamiliar with. And we continue to recommend your tours to our friends. Tina, our guide, was great. She is an amazing advocate for her region. She provide good information and was an excellent coordinator. She gets extra kudos for taking care of us during the wait for an accident to clear. Amazing job of making sure that we were OK.
"*Plitvice * Ljubjana *Pula * the wines"
My favorite trip of 2018!! Had no idea what to expect; just wanted to do an area of the world that I didn't know much about. The countries we visited are beautiful, quaint, approachable, and have a lovely culture. Spectacular scenery in everyt wist and turn. And the Craoatian coastline is gorgeous! "Plitvice National Park Unbelievably beautiful and unspoiled." Tina is a fantastic guide, and I had a wonderful time. I enjoyed learning the history of Slovenia, Croatia, and Bosnia, as well as the lighter fun that we had. Thank you! "The visit to Bosnia with the local tour guide was enlightening as well as heart wrenching." The tour provided opportunities that might not have been possible with independent travel. Along the way I learned, laughed, was moved, disturbed and feasted my eyes on incredible beauty. In other words, the trip was everything that good travel should be. Getting to know my fellow travelers and our wonderful guide was a gift. I would slow the pace by eliminating some stops so that we could think about and discuss about what we were experiencing. "Standing on our balcony at night in Mostar and hearing the call for prayer from 10 minarets. Not a wow moment, but extremely enjoyable one was the cafe culture in Ljubljana." This was my first Rick Steve's tour and I had very high expectations and they were all exceeded! I loved the pace, the locations, our tour guide, the site guides, the balance of history/culture/cuisine, and the hotels. "I have two wow moments. The Plitvice National Park was a wow for me as just a beautiful part of nature that one must see. The lower part of the park was a wow for me as I've never been on wooden planks with that many tourists in my life! Visiting Bosnia was also a wow. I don't think I ever would have traveled there on my own and I really appreciated both our guides sharing their personal stories and struggles. I'm still in shock that they could have bombed such a beautiful place." Everything about this trip was wonderful. I loved every city and every adventure. What beautiful country! What history! So much to learn. So much to see. I felt safe and engaged the entire time. Thanks to the Rick Steves tour for such a well-planned and thought-out itinerary. "Plitvice Lakes National Park was the most amazing natural wonder I have ever seen. You cannot image the amount of clear, clean, gorgeous water from water fall to water fall along the 3 hour hike. I was in awe -- and I grew up in beautiful mountains and on a beautiful lake." Amir the superguide was outstanding - with encyclopedic knowledge, a sense of humor and a balanced viewpoint regarding the 1992-96 civil war. The local guides were also excellent. We appreciated that we were encouraged to become acquainted with our other tour members, so as the tour progressed we felt like we were travelling with friends instead of a busload of strangers. My wife's vegetarian diet was well accommodated. "Entering the ancient city of Dubrovnik at dusk illuminated with natural golden highlights - fairytale like"
The tour was fantastic! A great blend of education, sightseeing, wonderful tour companions, great leader (Amir), and fun! "I'm 74 years old, had both knees replaced 5 years ago, had my hip replaced 12 WEEKS ago, booked this "strenuous" tour, and CRUSHED it - WOW!!! Thank you Dr Stolarski, my orthopedic surgeon in Sarasota, Florida." Wanting to learn more about my Yugoslav/Croatian roots, my husband and I were excited to find this super tour that focuses on Croatia and other former Yugosla lands. We much appreciated the top-notch guiding, well-thought-out itinerary, and the excellent balance of guided and free time. "So many "WOW!" moments, impossible to say. Slovenia, Plitvice National Park, Mostar Bridge, the Klapa singers at Diocletian's Palace, and Dubrovnik were all special highlights." "there were too many to list just one"
We really looked forward to touring this part of the world and learning about the history of the countries. The trip did not disappoint. We would highly recommend this tour. "Although there were so many "Wow's" on this trip from spectacular vistas, amazing cultural experiences, interesting tours, delicious food and an awesome group of fellow travelers my "Wow" was absolutely, Amir, our guide. His knowledge of the Adriatic history added so much to my travel experience. I affectionately dubbed him the "Human encyclopedia."" "There were so many. The top had to be Plitvice National Park and it's absolutely incredible lakes and waterfalls. Close runner up was the tour of Mostar with the ravages of war still so readily apparent. That's not to say the rest of the sights were lacking. They were all great places to visit." This was my first tour of any kind and I approached it with some trepidation. My husband and I had traveled through a lot of Europe solo and weren't sure how the whole group/bus/tour guide thing would work out. It was better than we could have hoped; a wonderful, fun group of people, beautiful sights, perfect mix of city and country, great food and a tour guide (Amir) who did a wonderful job educating us on the complex area that is the Balkans. Would highly recommend! "While there were many gorgeous venues (Plitvice Lakes, Lake Bled, Ljubliana, the Dalmation Islands) I think my biggest WOW was meeting and traveling with awesome people. As noted above, I wasn't sure about the whole tour deal, but this fun group of folks. Combined with the locales and the learning opportunities, made this a most memorable vacation." The Adriatic Tour was exceptional, beginning with our outstanding guide, Amir, a wonderful tour group, the beautiful scenery, the interesting historical sites, and the history lessons. "Plitvice Lakes National Park was one "wow" moment after another. It is truly amazing and like nothing I have ever seen before." It was a great learning experience for me and my wife. This is one of those parts of the world that, honestly, we weren't very familiar with. Ben, our guide, is very knowledgeable and was able to convey that in a fun way. "Lake Plitvice. I've seen photos, but it's certainly one of those "gotta see it to believe it" places." This tour was my second with the Rick Steve's Company. The Adriatic tour is different type of tour than first, The Heart of Portugal. This part of the world is still recovering from a recent civil type war. There are still scars and political issues that the citizens are dealing with. With that said, Slovenia and Croatia have many gorgeous towns and parks. The Croatian coastline was worth the trip alone. "My favorite day was the walk through the Plitvice National Park. The boardwalks and waterfalls were spectacular. The water was a clear as glass. Thank heavens for digital camera picture taking capacity. Every 10 feet there was another photo opportunity. The sounds of waterfalls were very harmonic and relaxing enough to forget that you had many other tourists enjoying the same sites." A few years ago, I did the amazing Eastern Europe tour. Our tour group pledged to "continue" the trip together some day, along the Adriatic. We finally managed it! The trip lived up to my high expectations. I loved our guide, learned a ton, enjoyed all of the places we visited, had a fabulous time at the places I'd particularly wanted to see, and had a few surprise "wow" moments along the way. Thanks for yet another great experience. "I loved Plitvice Lakes, but to my surprise my most memorable (and totally unexpected) "WOW" moment was walking into the peristyle of Diocletian's palace, the evening we arrived in Split. Although it's very hard to explain why, several of us were moved almost to tears. To see such deeply layered history and to be part of the modern human experience within that ancient place, was an amazing privilege. I also loved Mostar and so wish we could have spent another night. That was a "WOW" half-day!" Enjoyed all aspects of the tour. My 6th Rick Steves tour didn't disappoint! It was a wonderful introduction to, and education about, the Balkans . A perfect balance of large cities and small towns with ample free time for personal exploration. We had a friendly and fun group of experienced RS travellers (26 of 28 were alumni). Phenomenal guides - our main guide, Ben, and the local guides - ensured that we were educated, enthralled, & entertained throughout. Our driver, Klaudio, was a welcome addition to our travelling family. "Too many "wows" to enumerate! Wow day: Plitvice Lakes National Park - a high point as on my previous visit the torrential rains precluded our visiting the lower lakes; illuminated Diocletian's Palace night visit - emotional, spellbinding, surreal! Bosnia guides, Adisa & Edo - brought the recent wars into perspective with their personal observations. Our guide, Ben - friendly, humourous, knowledgeable, engaged - elevated the tour with his presence." Two wonderful weeks with 27 others plus one exceptional tour leader (Ben), a very good bus driver and knowledgeable local guides. The group bonded well after Ben's way of us getting to know one another's names. Old cities, ancient ruins, fascinating history, lakes, mountains, the ocean - such variety plus tasty fun group meals. Our leader and the great group dynamics made the tour really special. "TOP: The day we spent 3.5 hours in Plitvice Park in the morning ending with a lighted Diocletian's palace after dinner that night. My first trip to Plitvice 3 years ago it was pouring rain so it was wonderful to see all the waterfalls with sunshine. ALSO: The free day in Kor?ula was an unexpected treat. Taking Ben's advice to 'chill' and sit and watch the world go by on hot afternoons. The coffee served in Blagaj." I went into this tour with no expectations, and zero knowledge of the countries we'd be visiting, except that we'd have an awesome tour, and an awesome guide. JACKPOT! We also lucked out with on of the most compatible and fun groups ever. This is a strenuous tour, but the scenery is gorgeous, the food is wonderful, and the people genuinely appreciate tourists. Definitely a tour not to be missed! "There were several, but Plitvice National Park in Croatia is probably the number one highlight. It would easily qualify as a top national park in ANY country. The scenery overall is delightful, and the many, many waterfalls are gorgeous." The experience and interaction with a diverse culture was outstanding. Ljubljana was my favorite city, I could spend 2 weeks enjoying the city. I really like the idea that we go from cities, to lakes, to islands, to inland towns and back to major cities. it really makes a very interesting tour with the right amount of free time. "My favorite "wow" moment was Plitvice Lakes, absolutely beautiful. Although ther were many mini wow moments during the trip it is hard to choose one." We enjoyed the entire time spent in Slovenia Croatia and Bosnia Herzegovina. Would have liked to spend more time in Slovenia as we enjoyed it's beauty and culture. Our fellow travelers were awesome. Everyone got along and was in good spirits. Our guide, Ben is extremely knowledgeable about the history and politics of the area. We hope you'll consider doing an extended tour of the Balkans in the future. "We enjoyed Ljubljana, Slovenia the most. The fact that you can block the city without traffic and the people were welcoming and accommodating. It surprised us how much we enjoyed the town and wish we would've spent more time there." As with all RS tours, this was a wonderful experience. The city sights and countryside views were beautiful. "There were so many unique "wow's" it's nearly impossible to select one, but of all, Plitivice National Park stands out. A close second was the sheer beauty of the Adriatic -- crystal clear and inviting." Once again RST does not disappoint. The itinerary was well thought out and provided a meaningful overview of these countries. You can certainly feel fulfilled from this experience or you can use it as a catalyst to go back and do additional in depth explorations. We had no issues with the hotels and provided meals were interesting and palate expending. I was especially impressed with the local guides' knowledge and passion for their countries. Kudos to Claudio, our bus driver as well. "Allow me to spin the question a bit. My favorite "wow" was Ben. He was an amazing wealth of knowledge, a sincere and committed professional, and an outgoing and personable travel companion. I can't say enough about how many dimensions he added to this tour experience. Beyond the "Ben factor", my favorite surprise from the tour was Ljubljana. It had a wonderful vibe and felt like a place people could live and thrive." Most tour members arrange to fly into Ljubljana and out of Dubrovnik ("multicity" on flight-booking websites). Booking round-trip to one city will require a connecting flight, train trip, or additional overnight stay in Croatia. We suggest arriving a day or two before your tour begins to allow ample time to get over jet lag and be well-rested for the first few days of your tour. For more information about transportation options to get to and from your tour, see your Rick Steves Croatia & Slovenia guidebook.